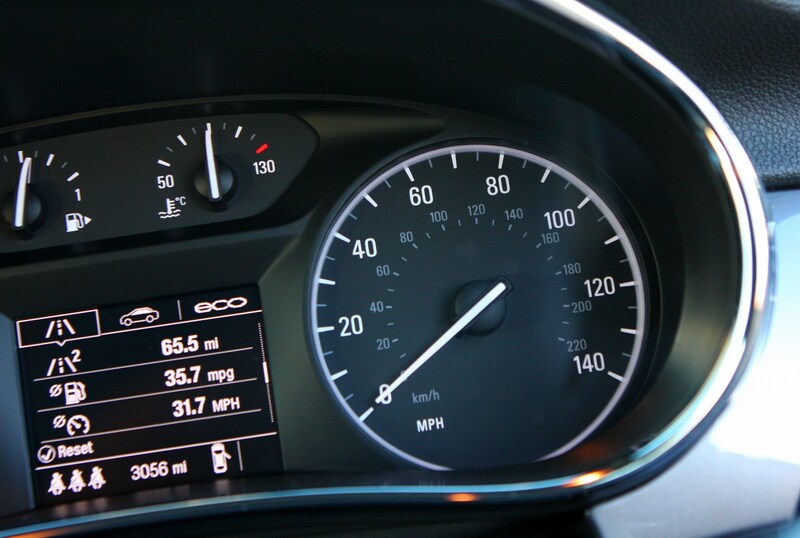 Insurance group: 7 - 18 How much is it to insure? 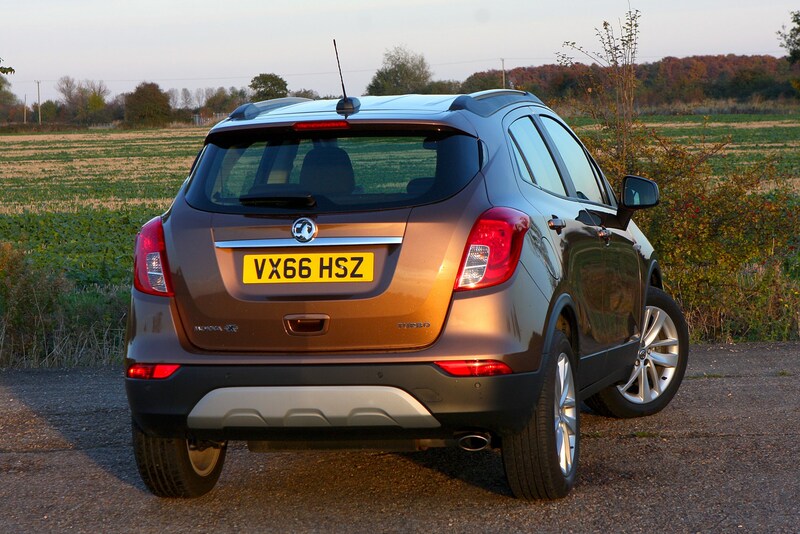 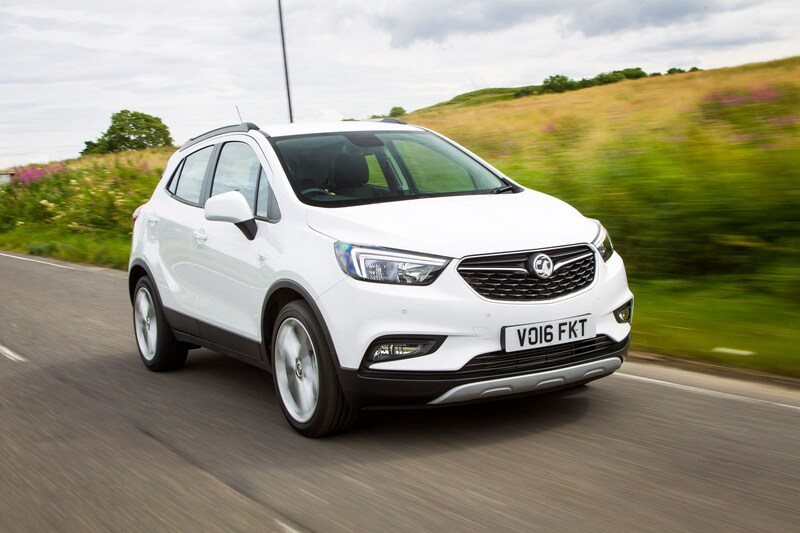 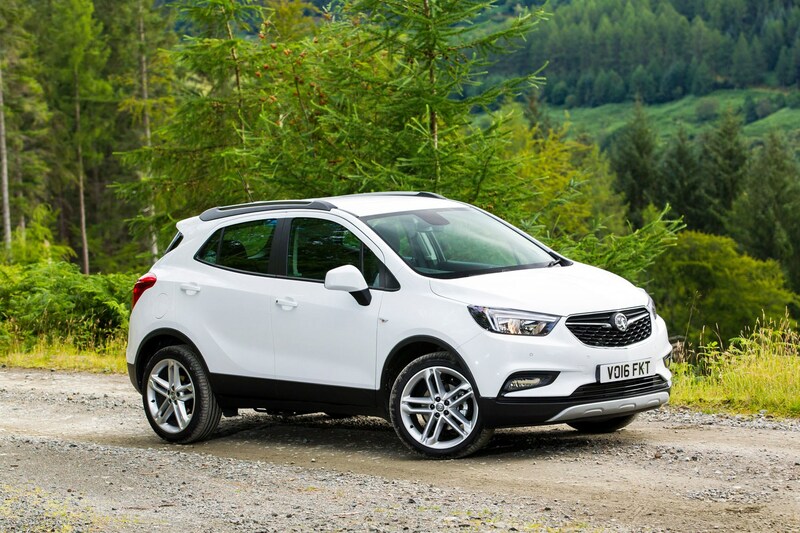 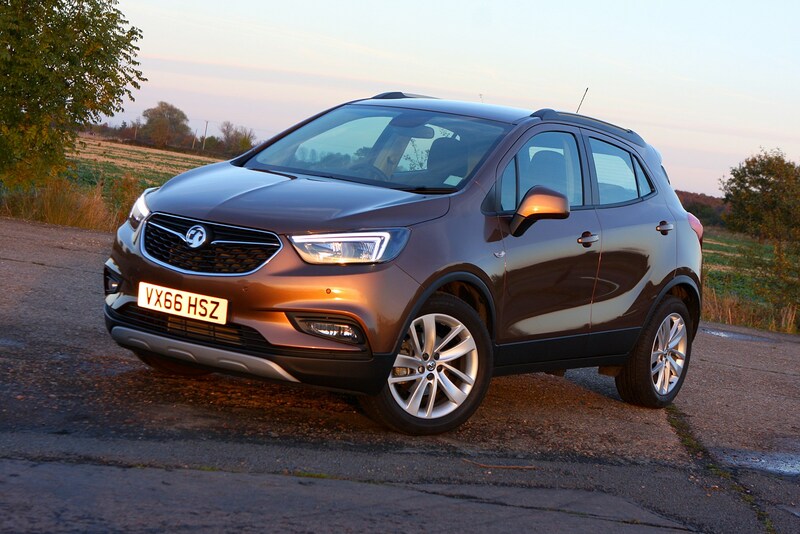 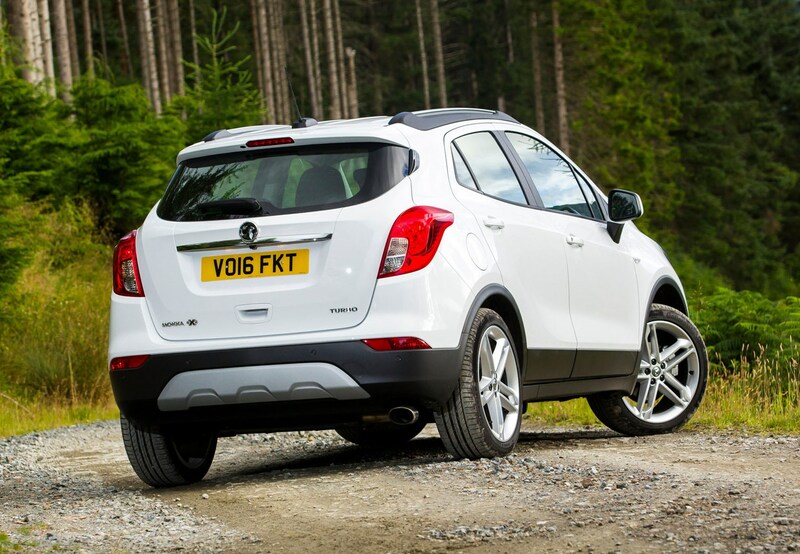 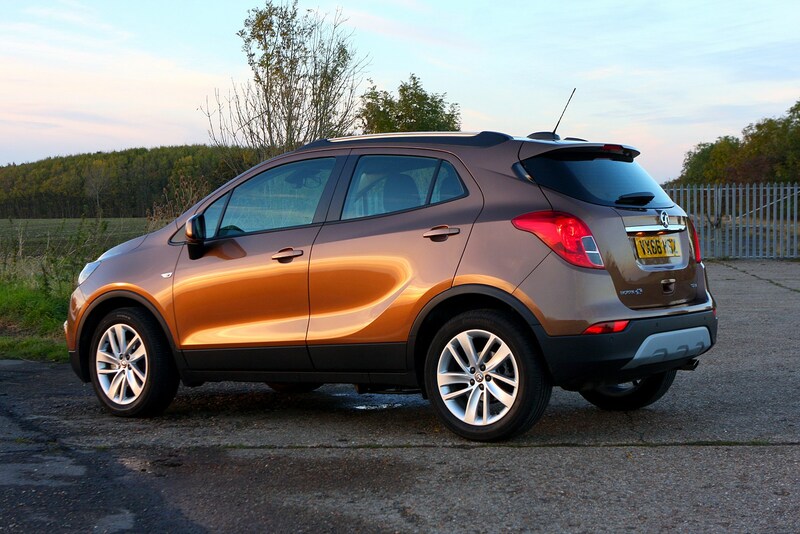 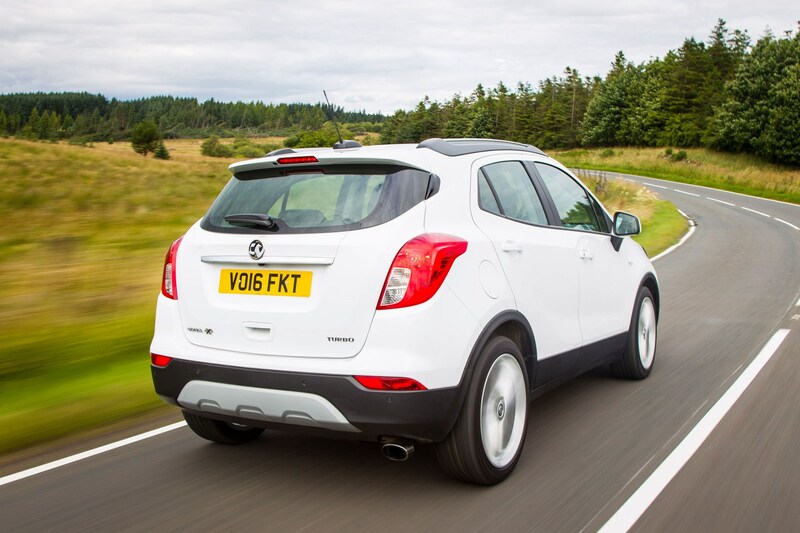 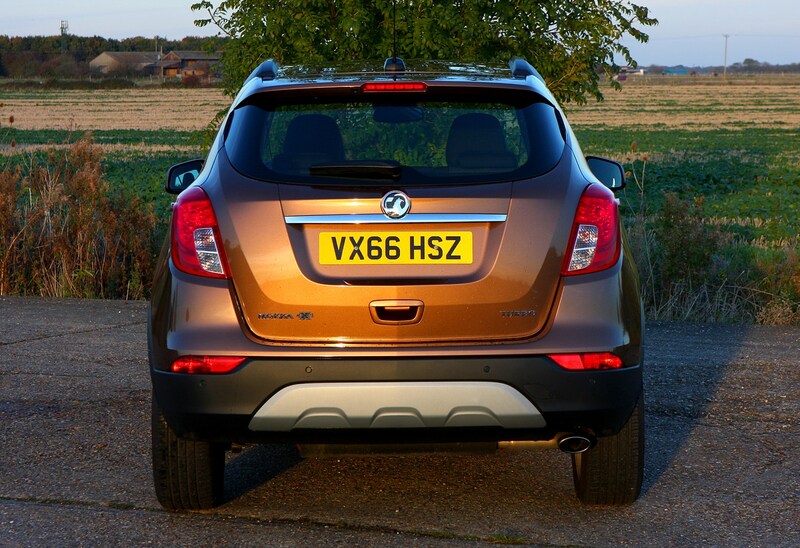 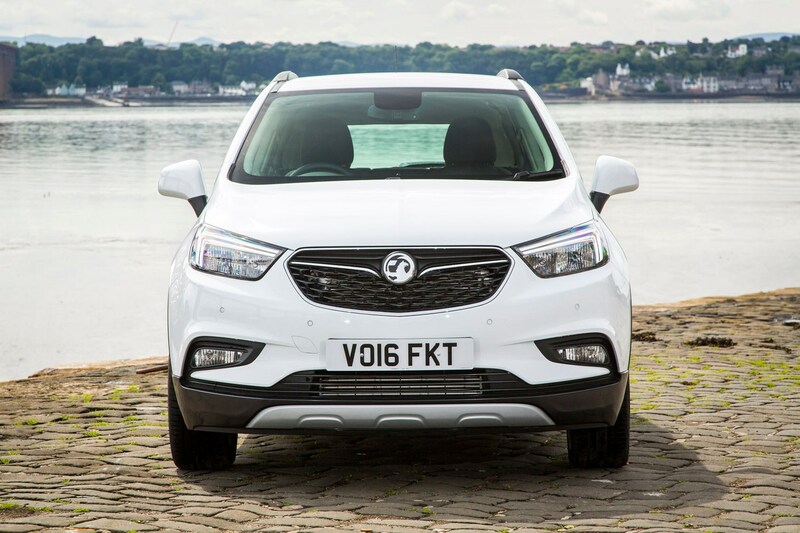 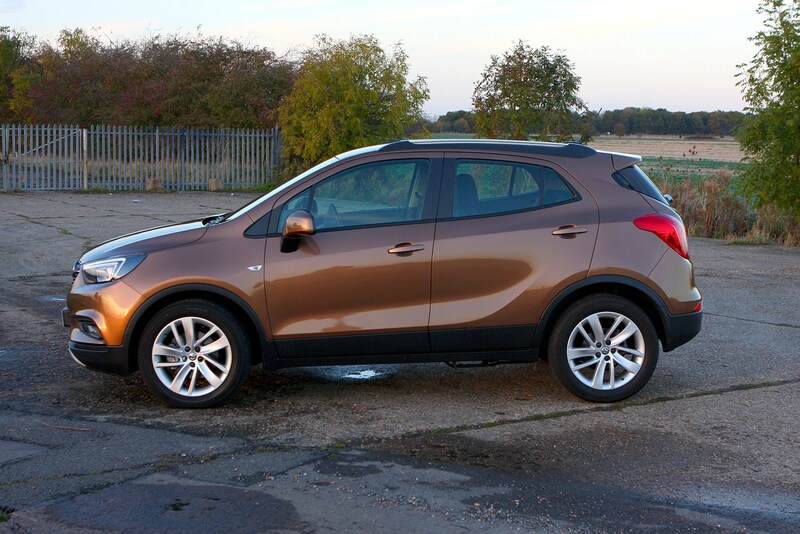 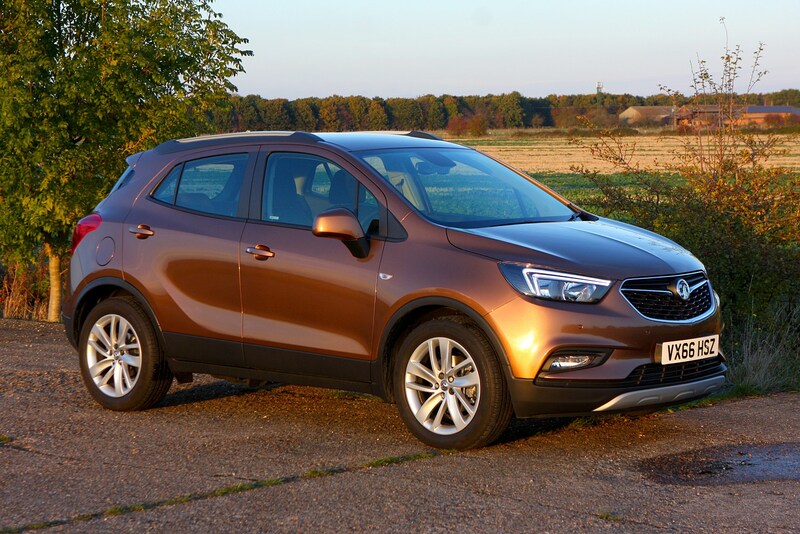 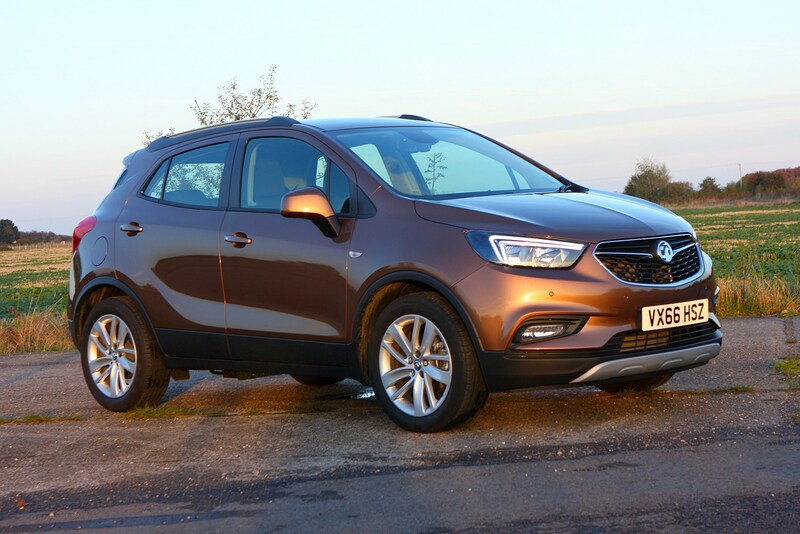 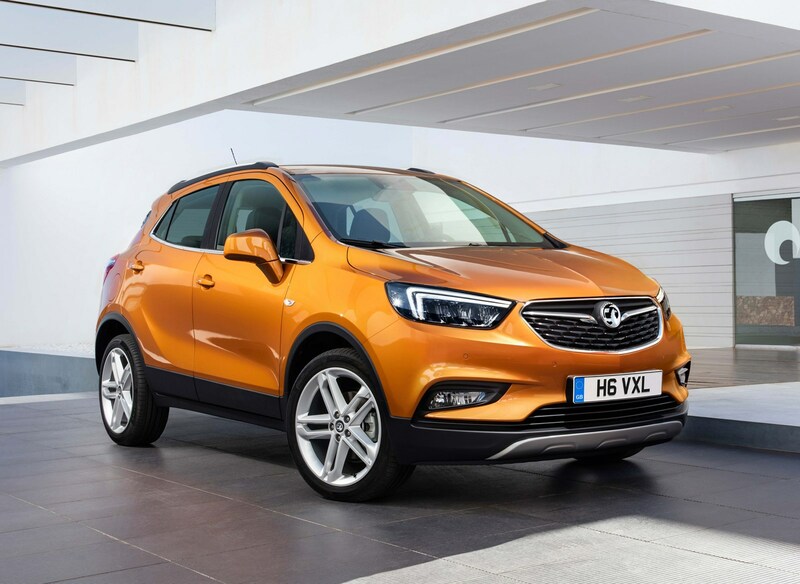 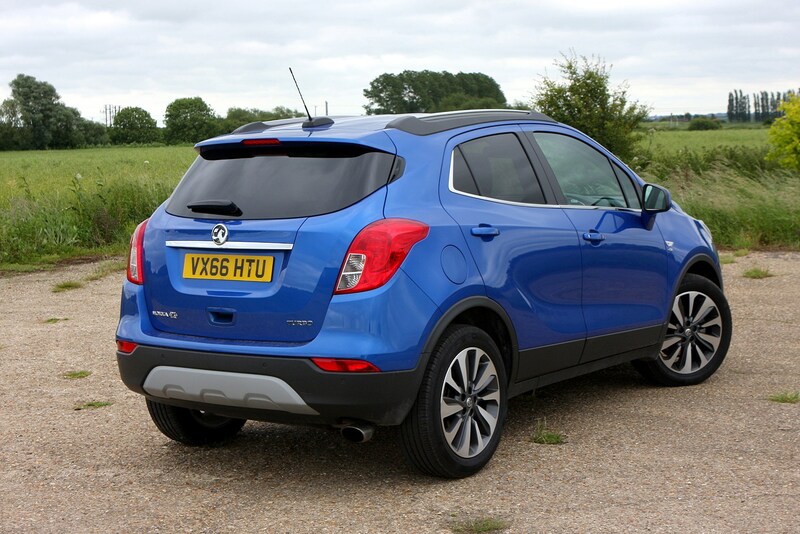 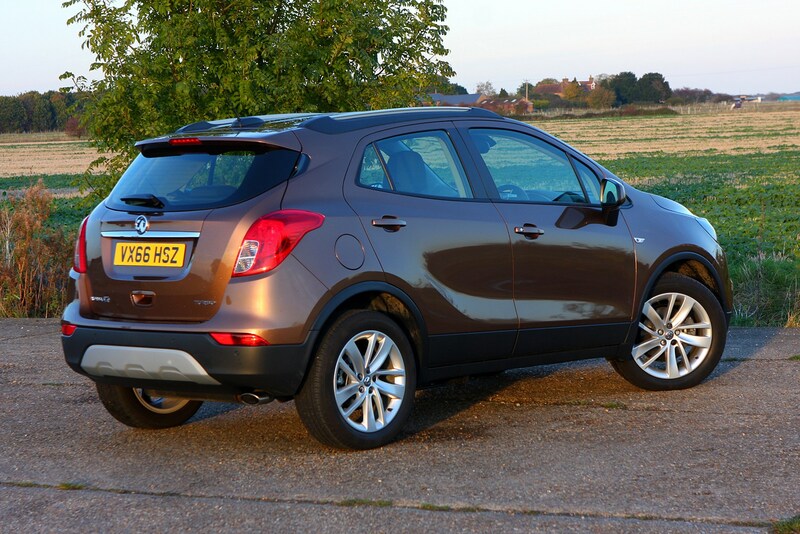 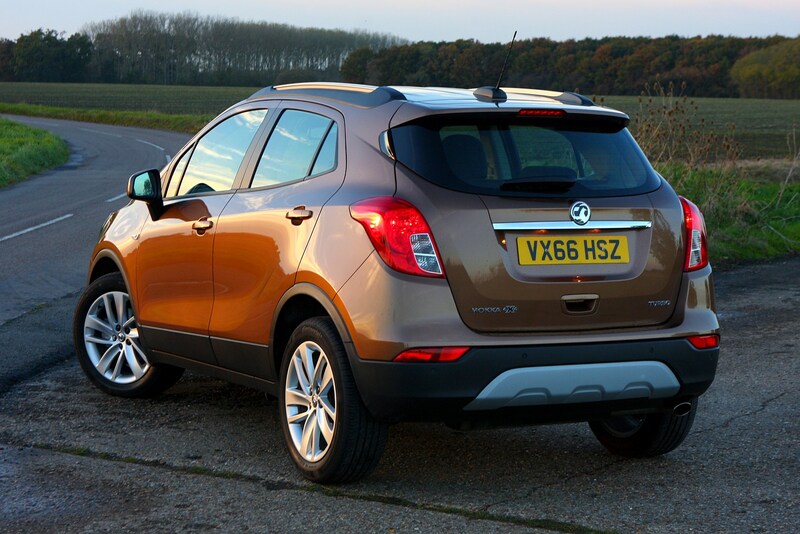 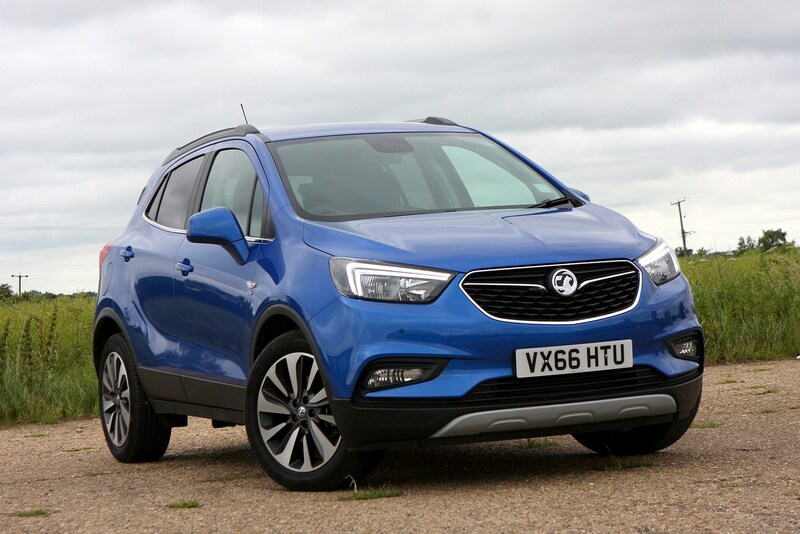 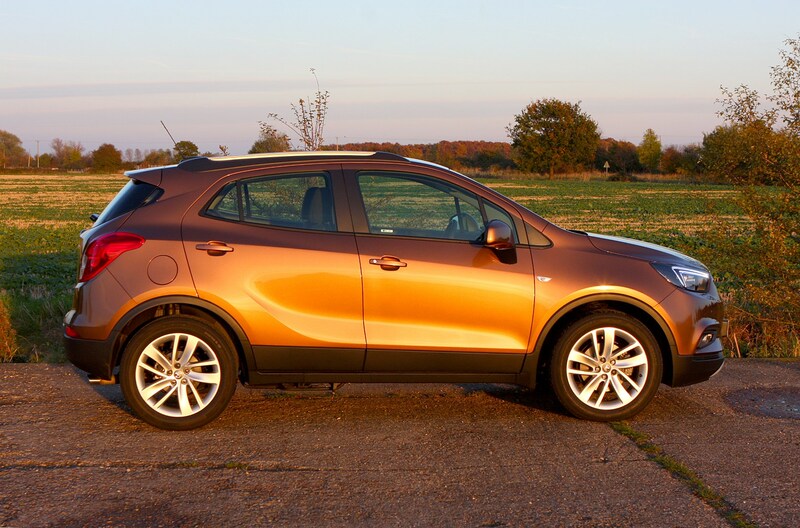 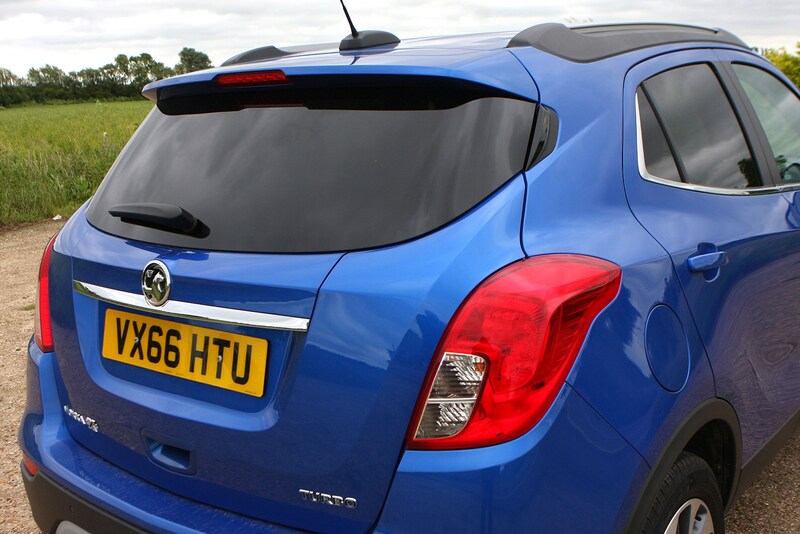 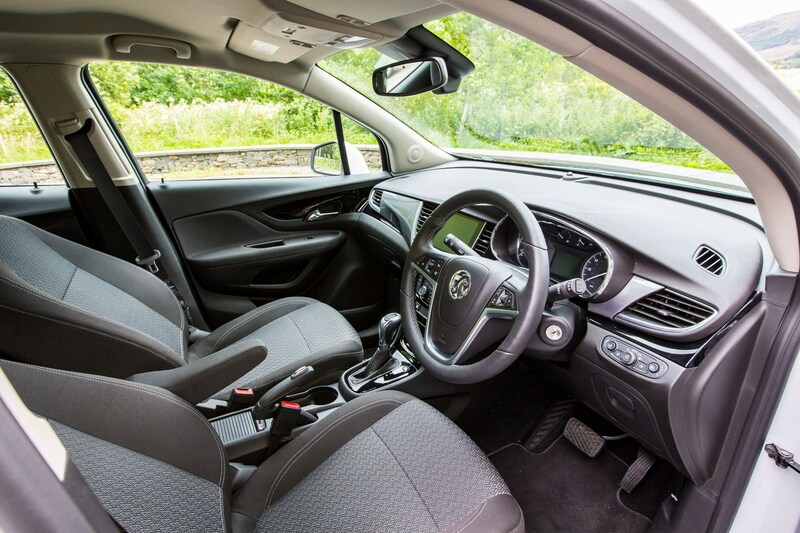 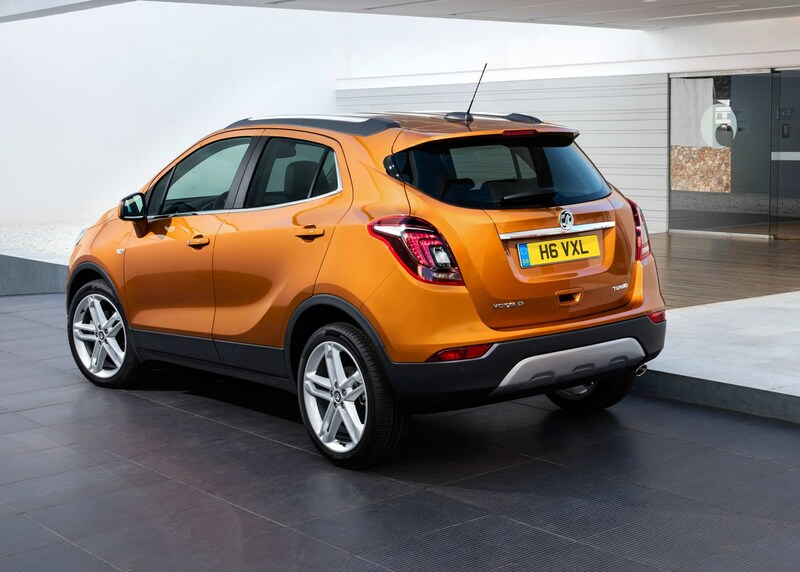 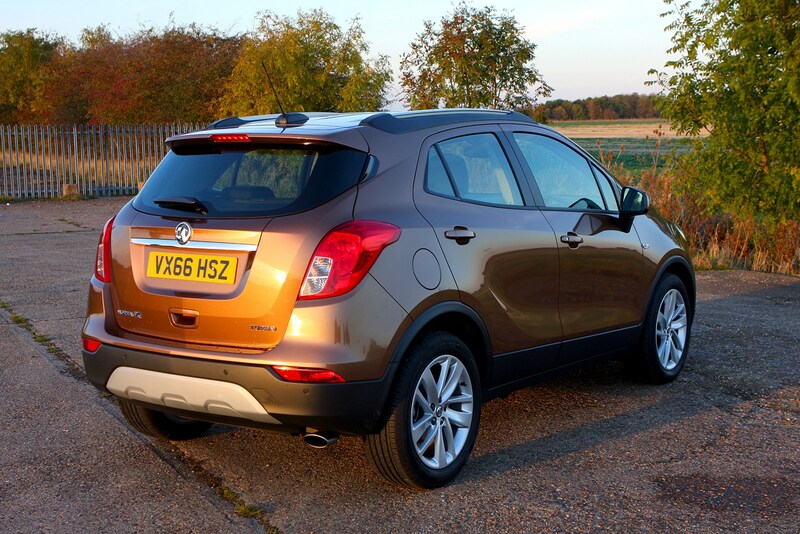 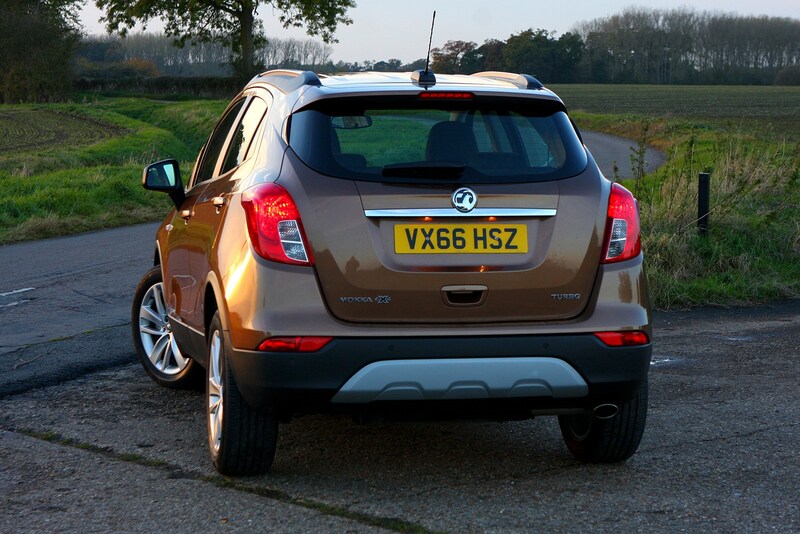 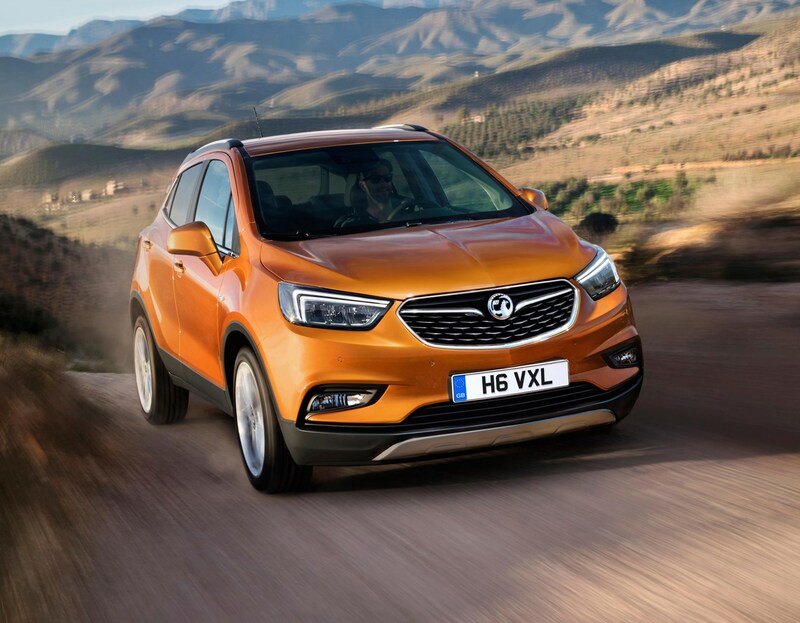 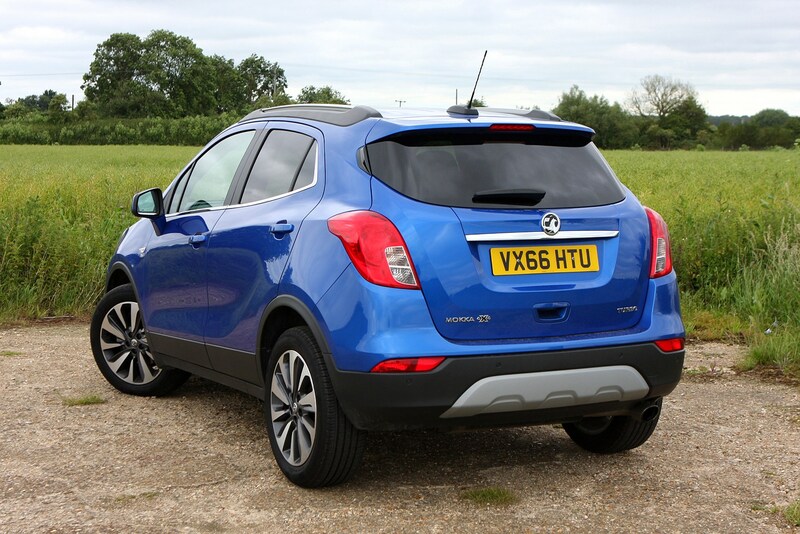 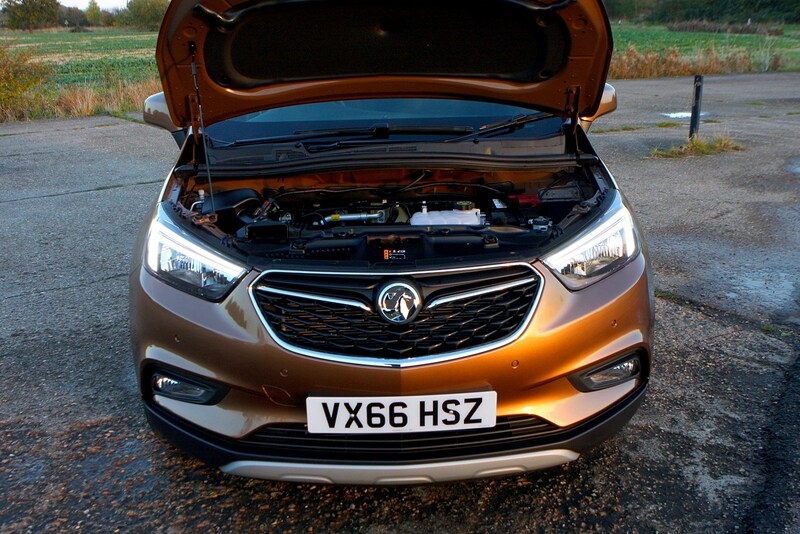 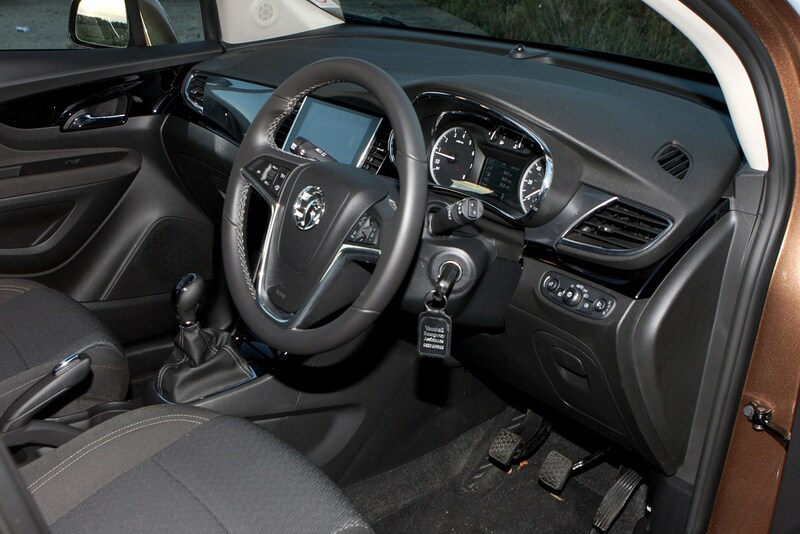 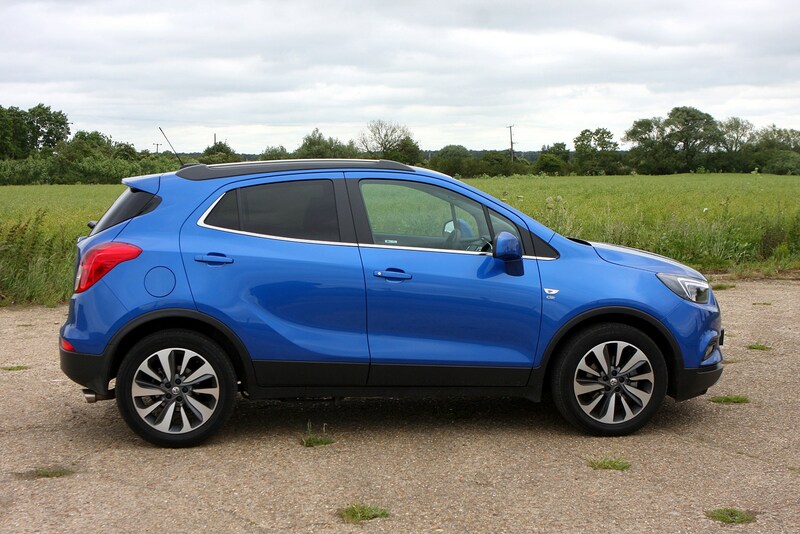 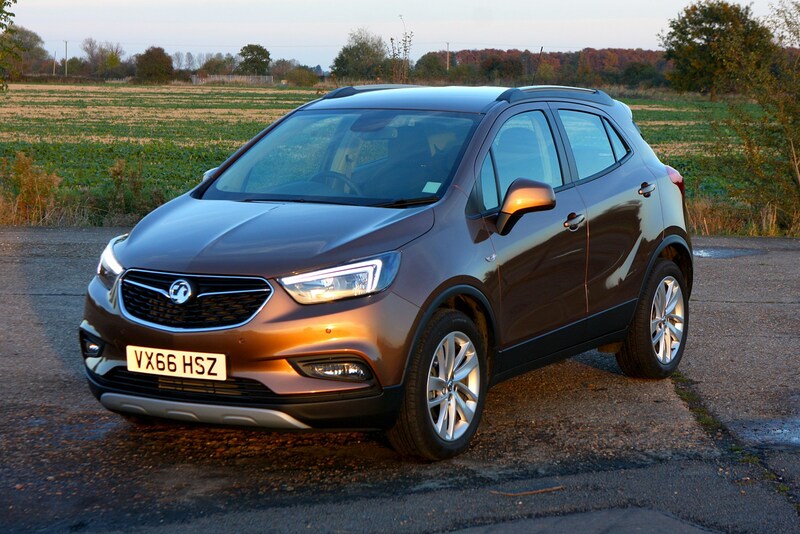 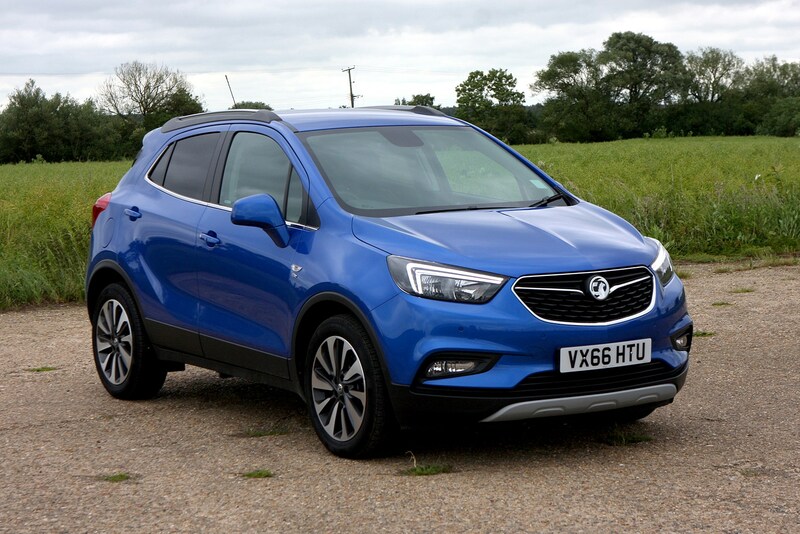 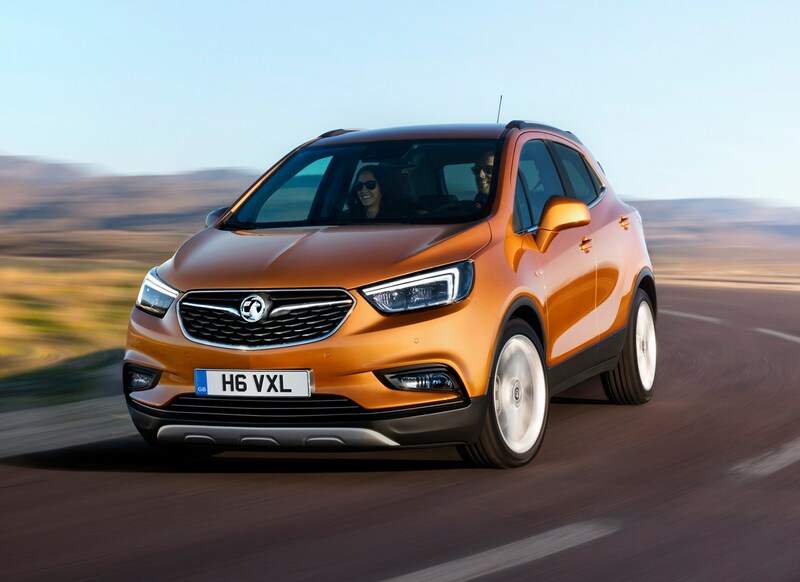 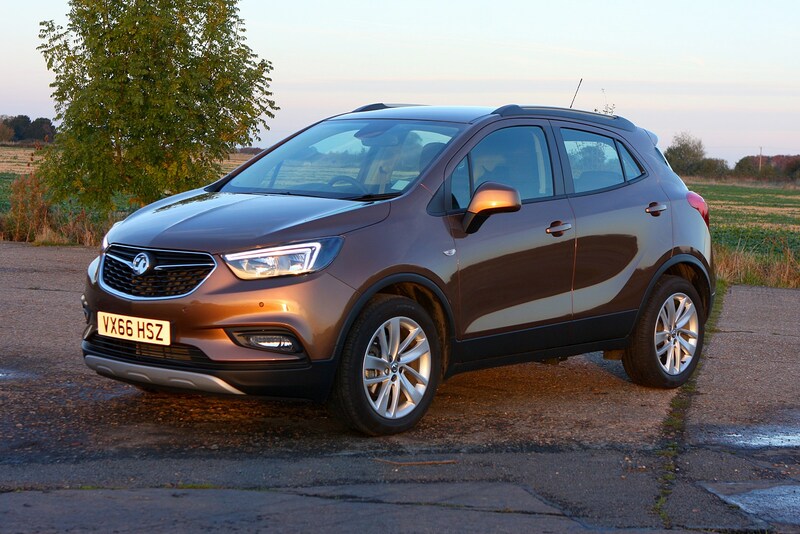 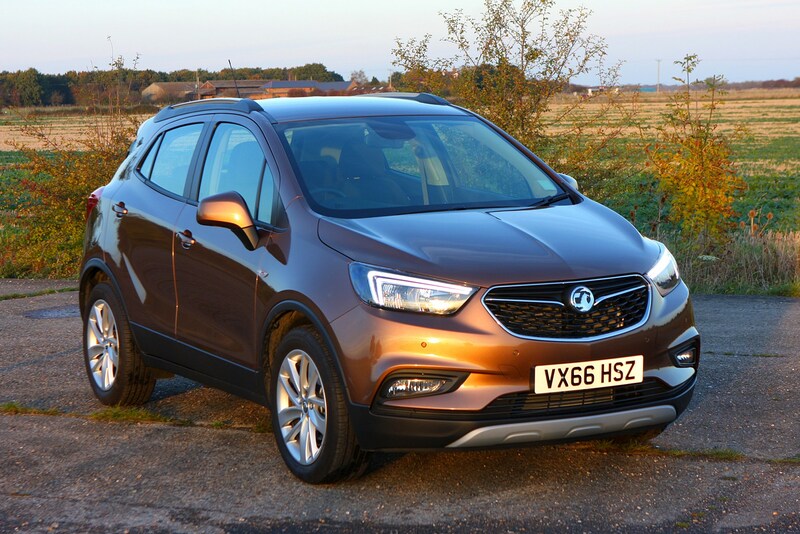 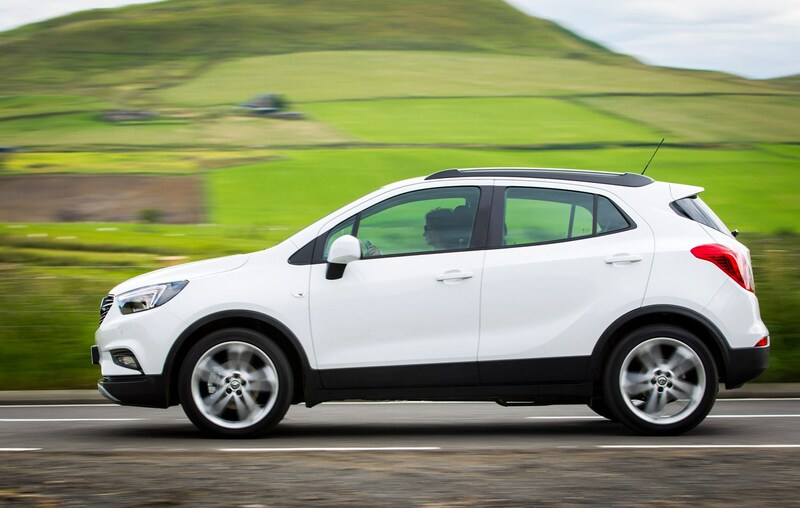 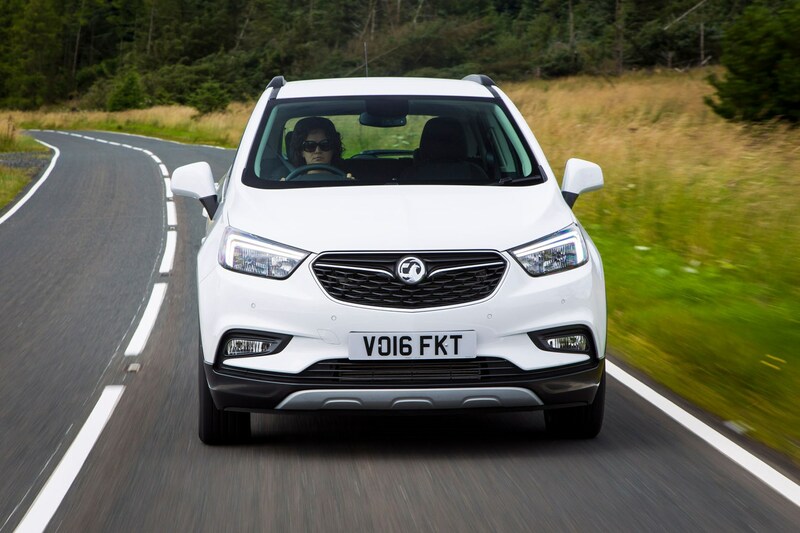 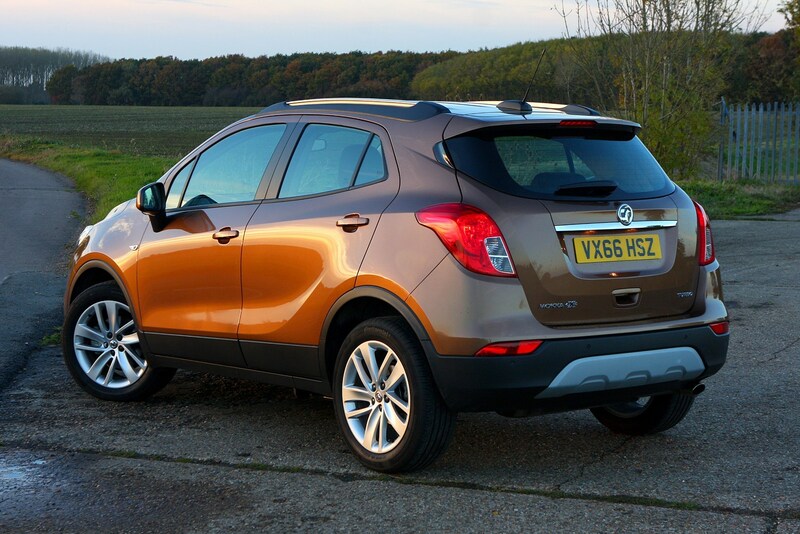 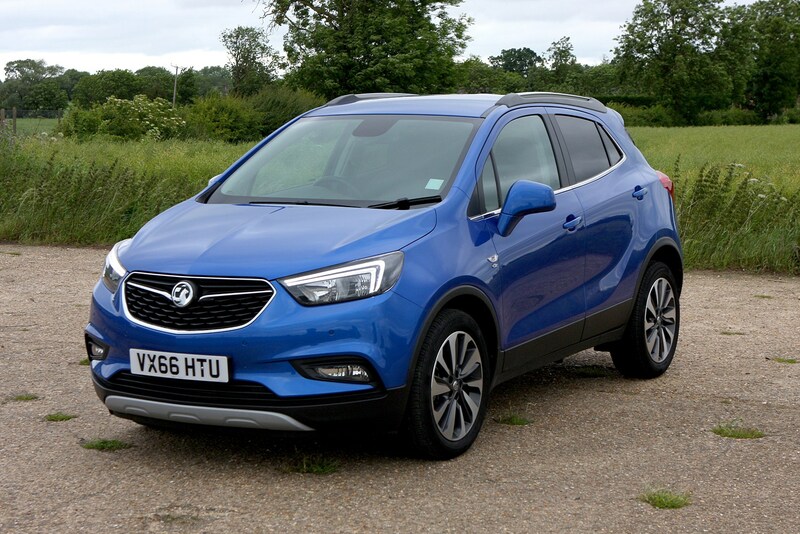 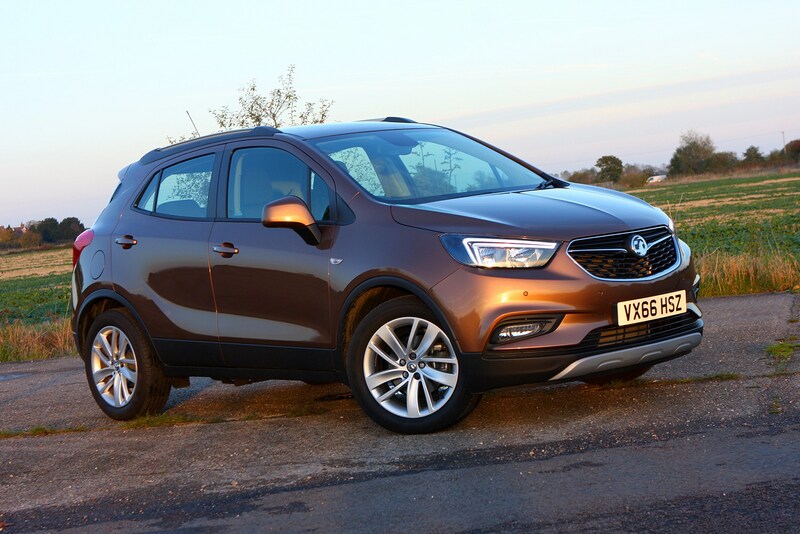 The Vauxhall Mokka X is the British brand’s take on the compact SUV, featuring a raised-up driving positon, chunky off-roader looks and the option of four-wheel drive. 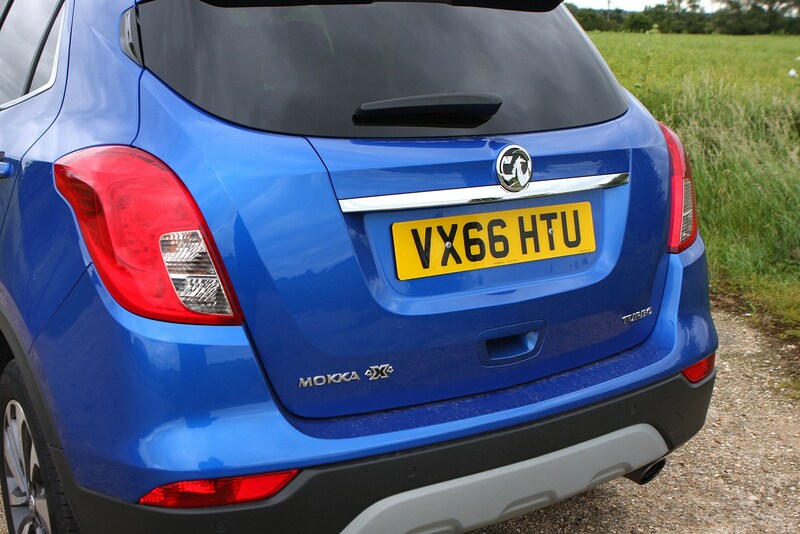 And if its Mokka predecessor (replaced in 2016 by the Mokka X) is anything to go by, it should sell rather well. 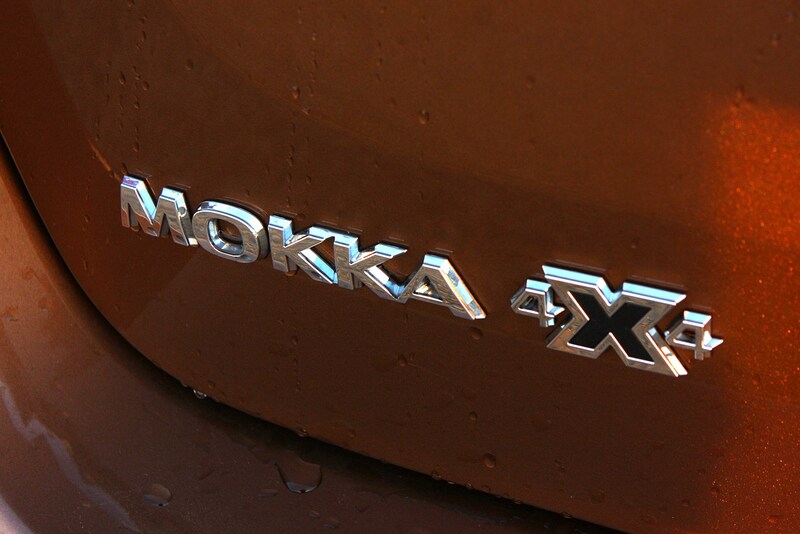 Keen pricing, strong standard equipment levels and usable levels of practicality are the Mokka X’s key selling points, but is it a good enough overall package to fend off serious competition from the Fiat 500X, Renault Captur and big-selling Nissan Juke? 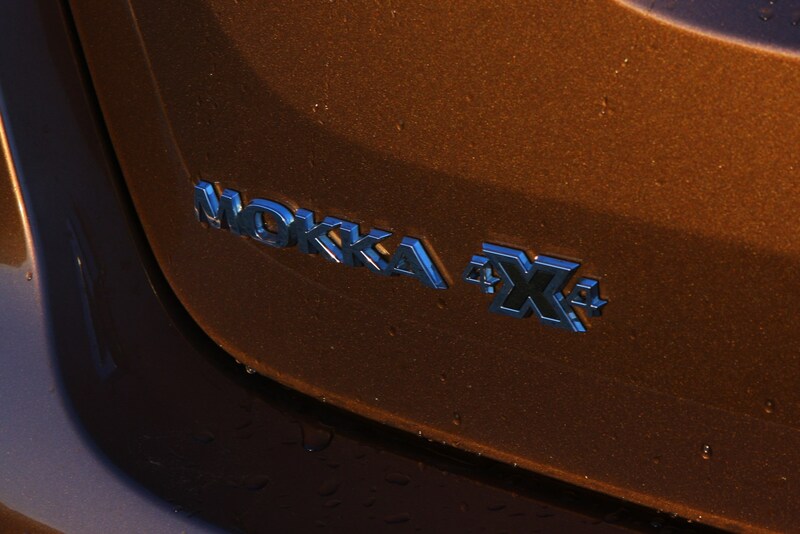 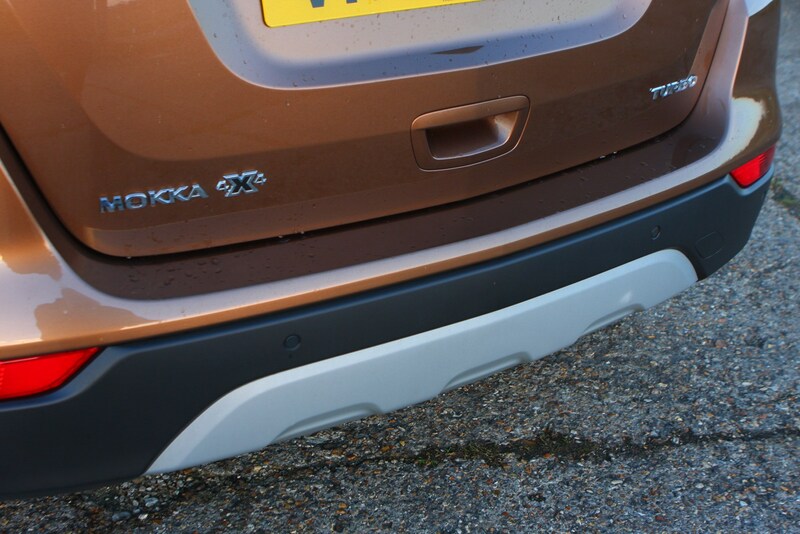 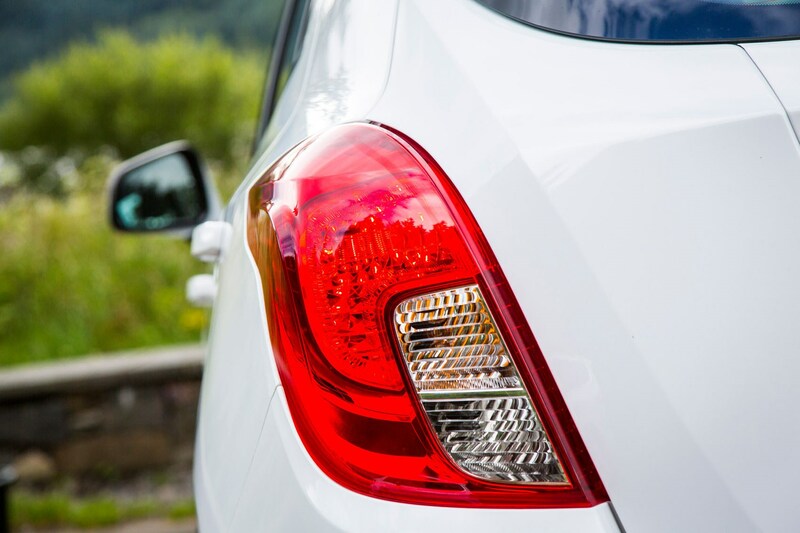 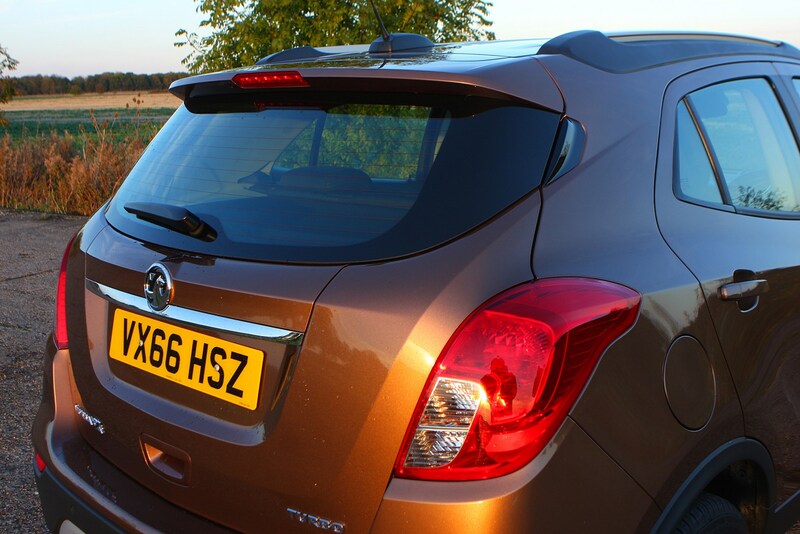 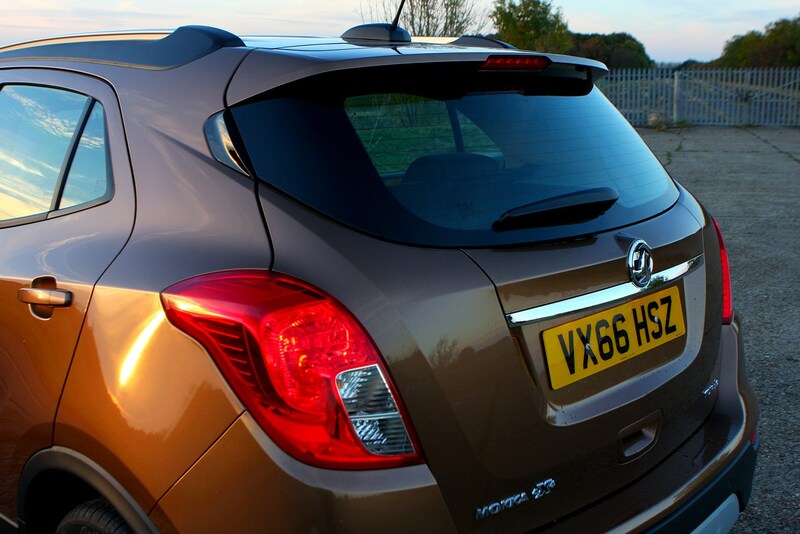 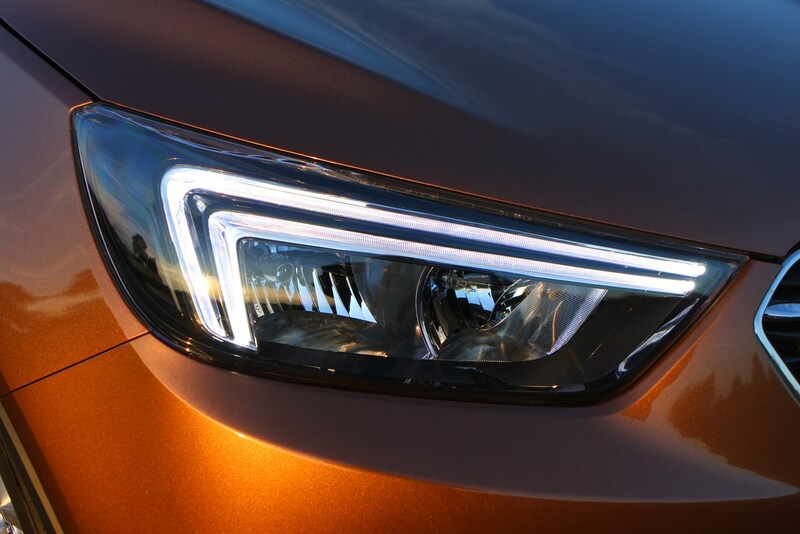 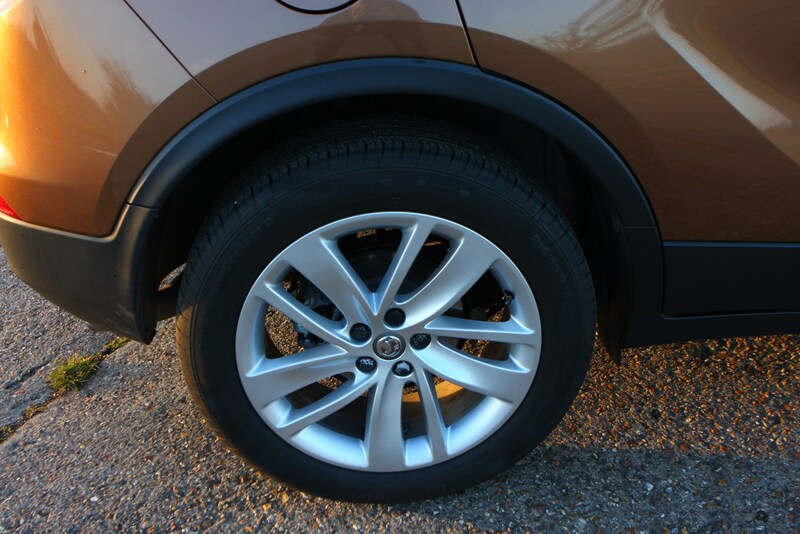 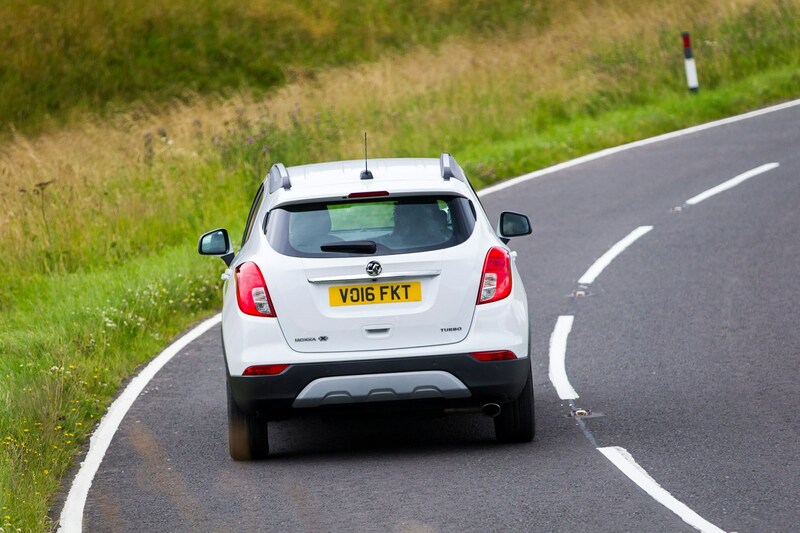 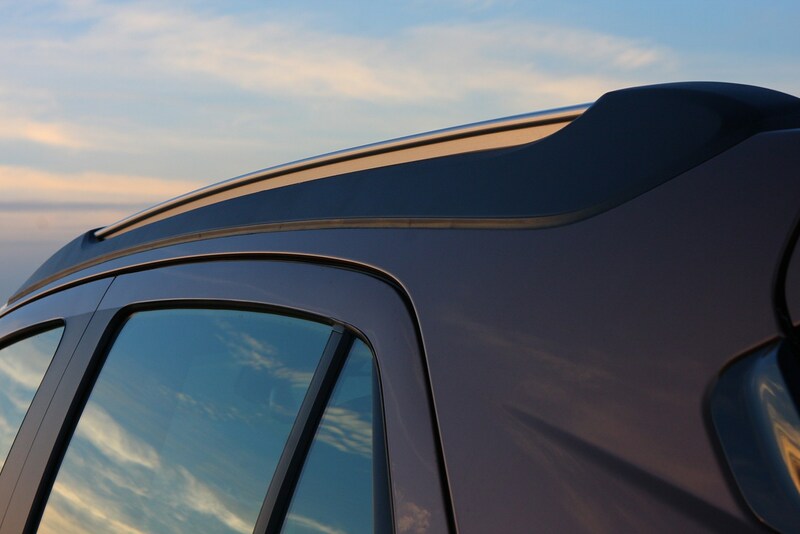 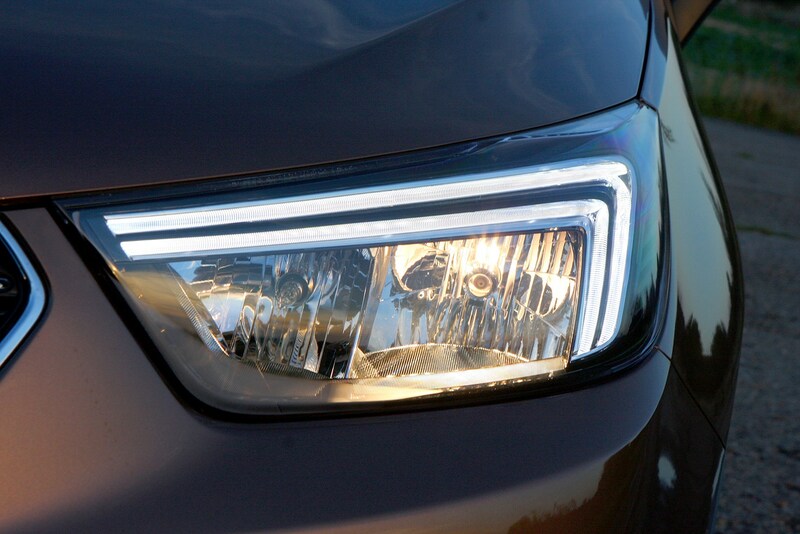 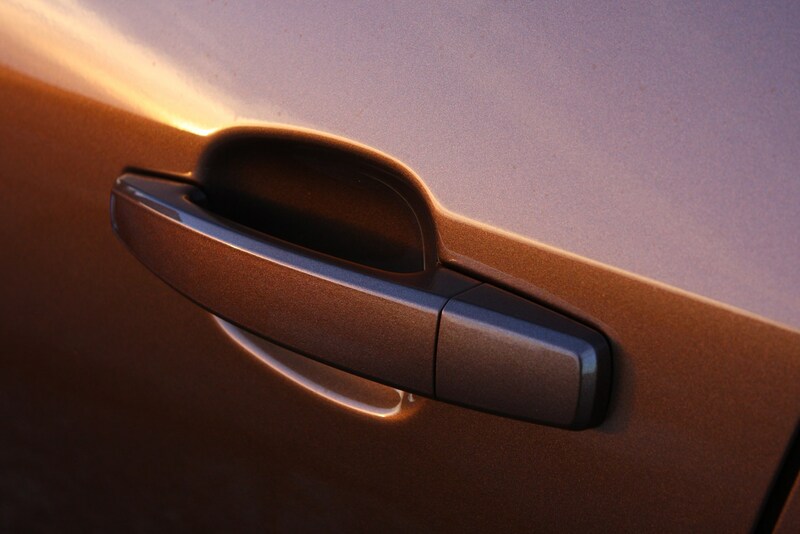 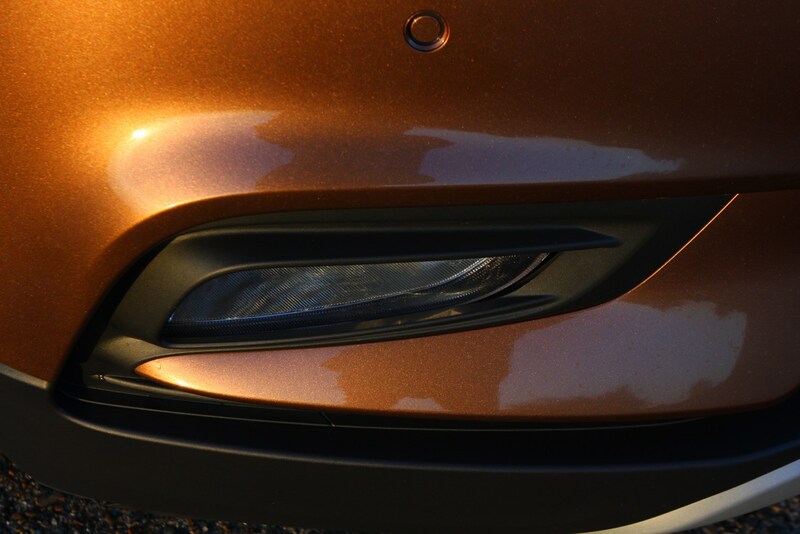 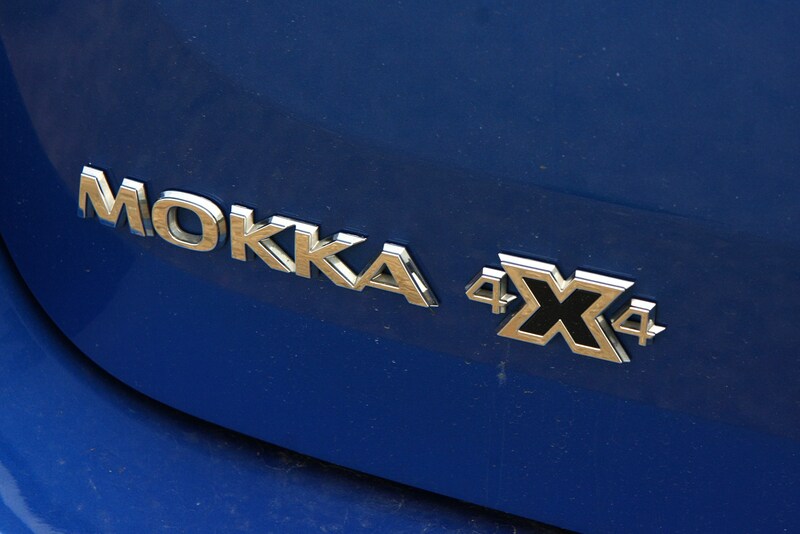 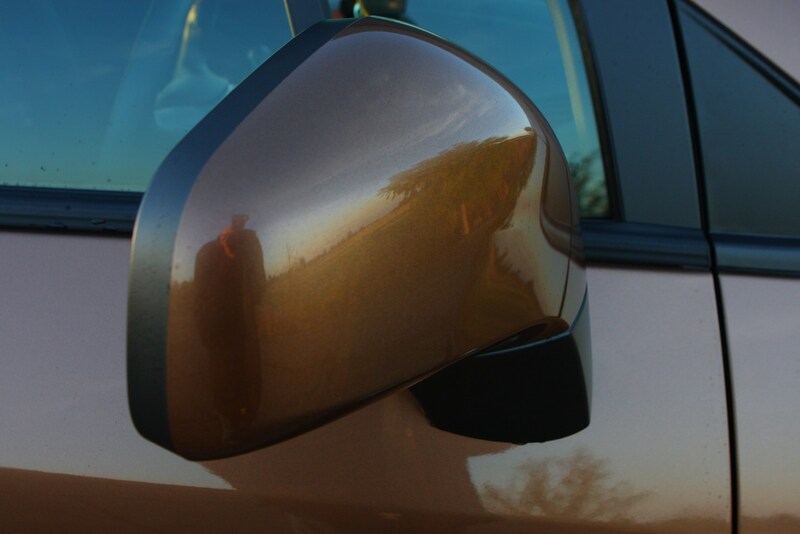 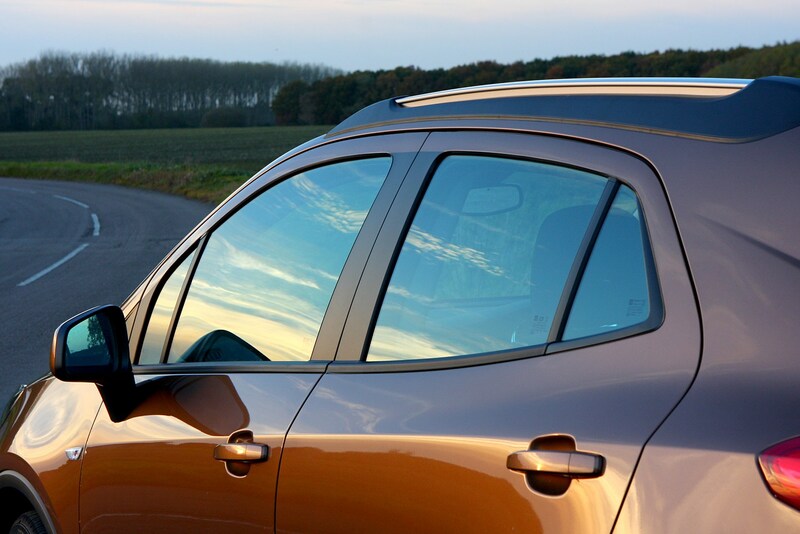 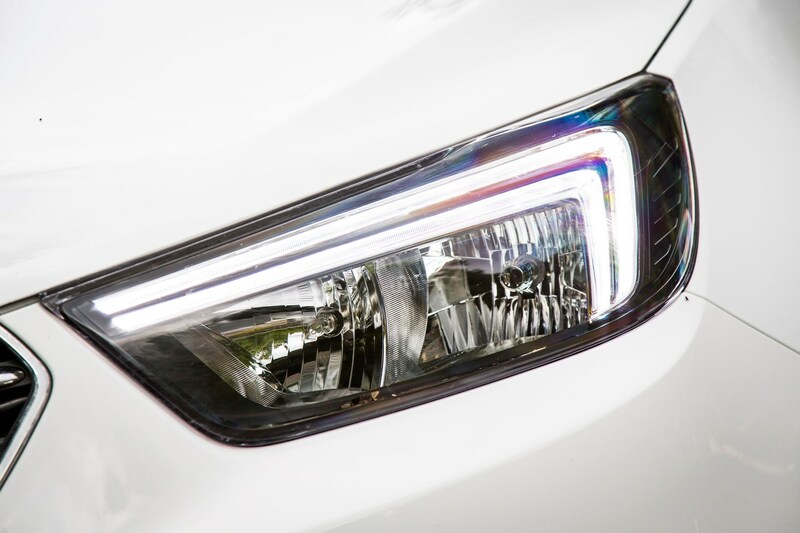 It says a lot about the Mokka X’s equipment levels that the bestselling model is in base-spec Active trim. 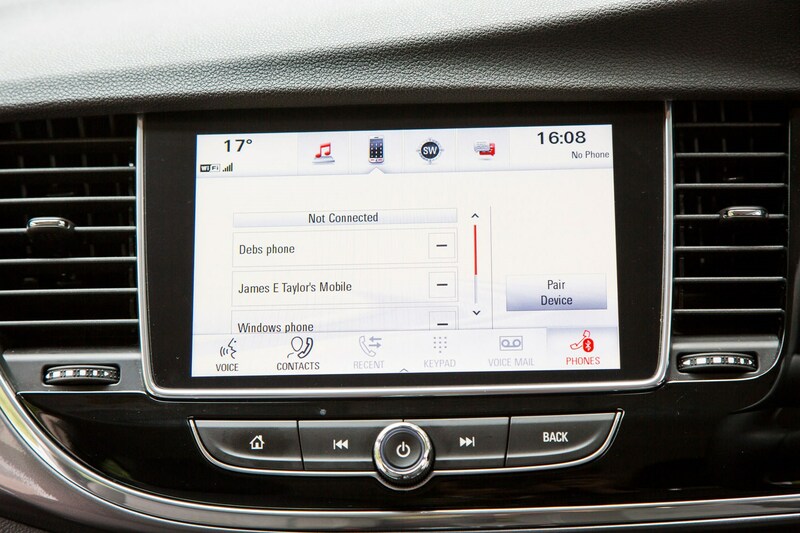 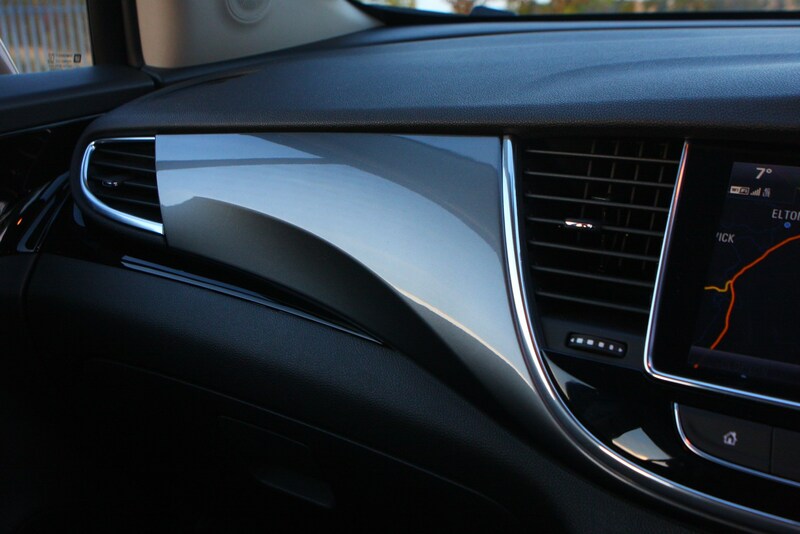 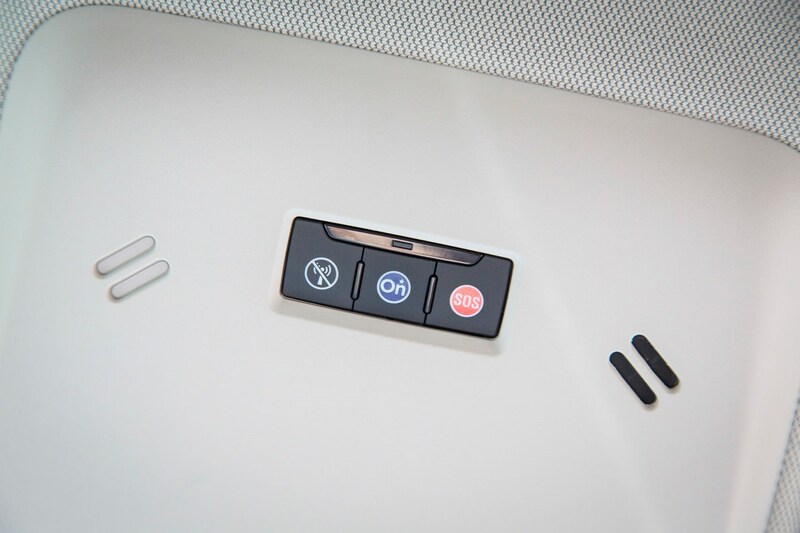 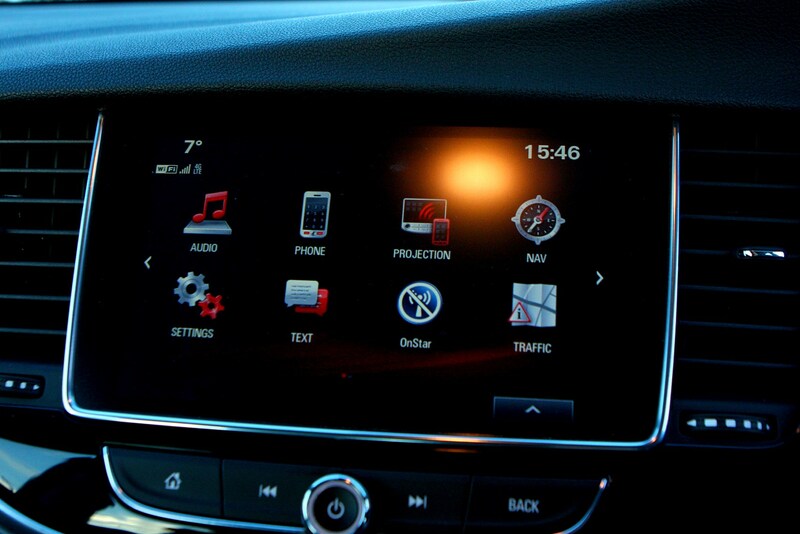 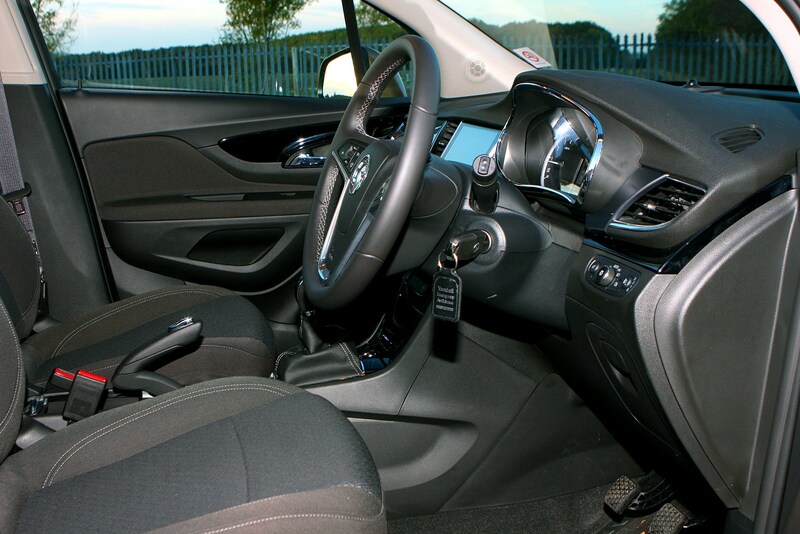 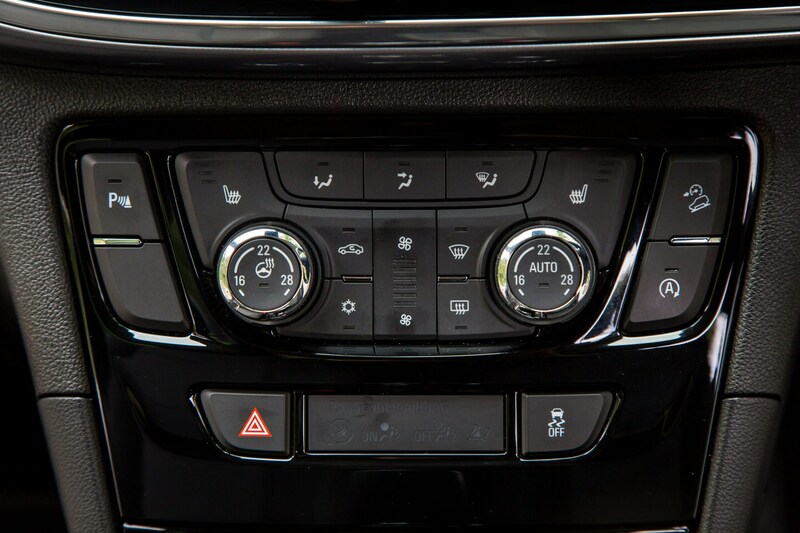 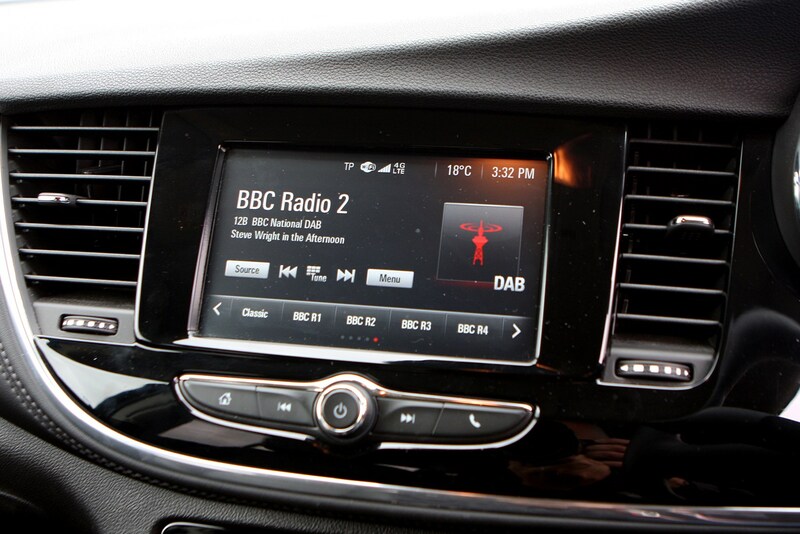 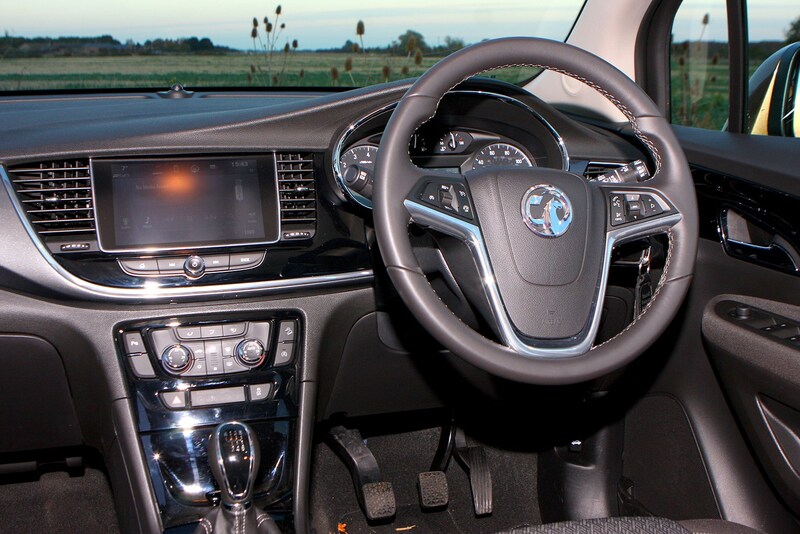 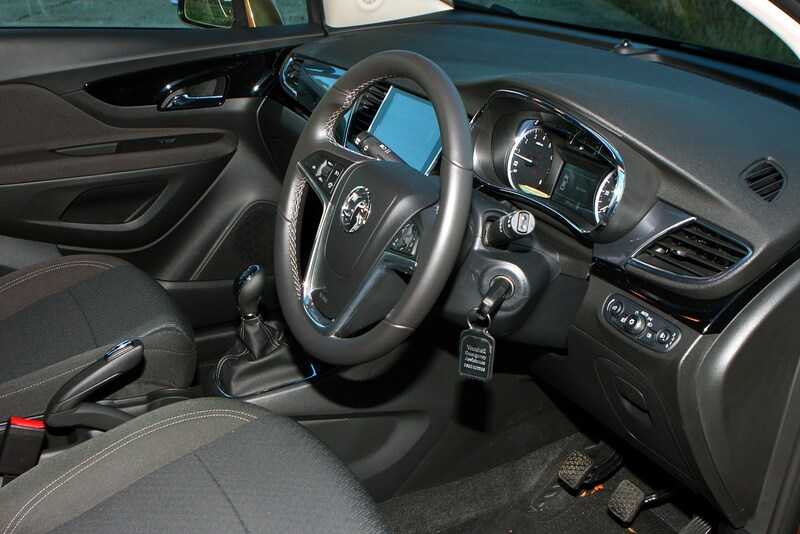 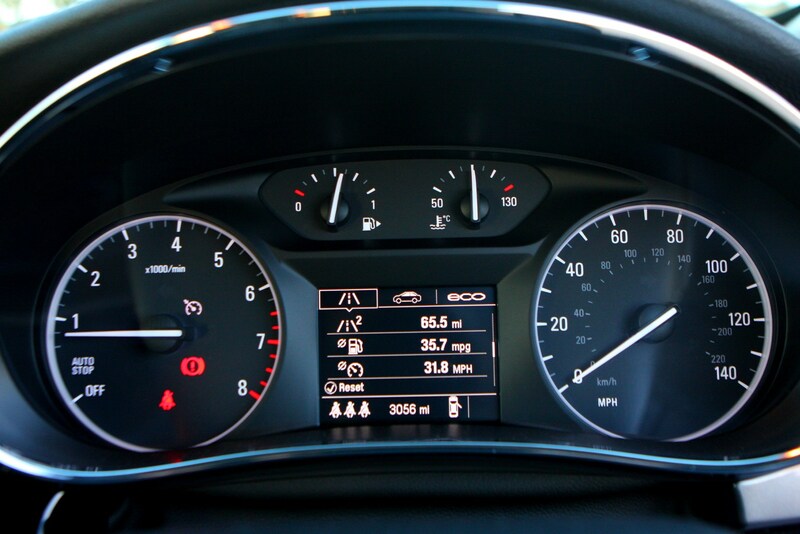 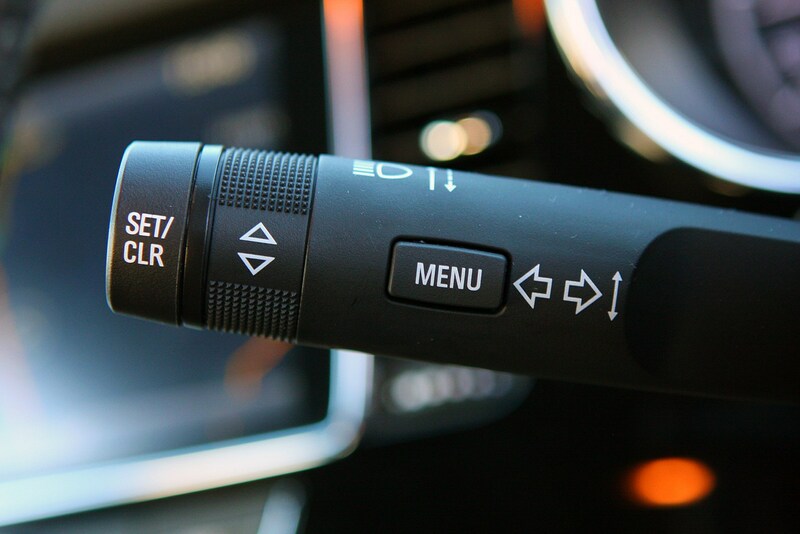 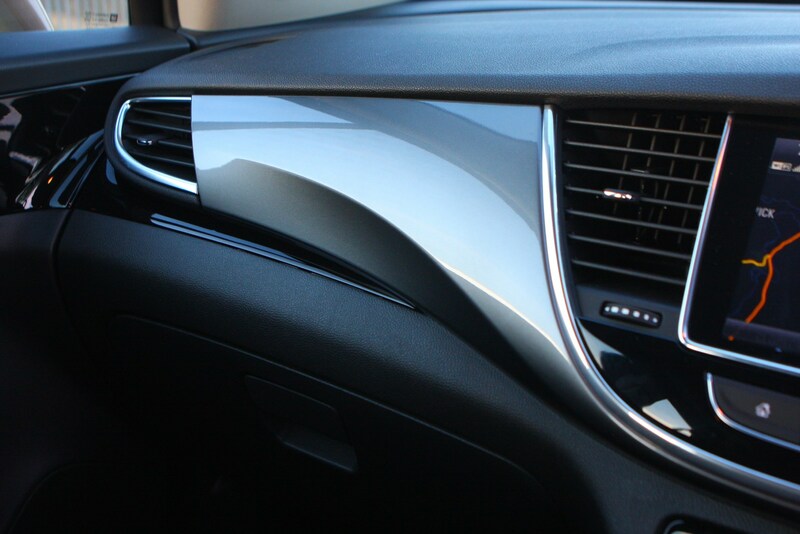 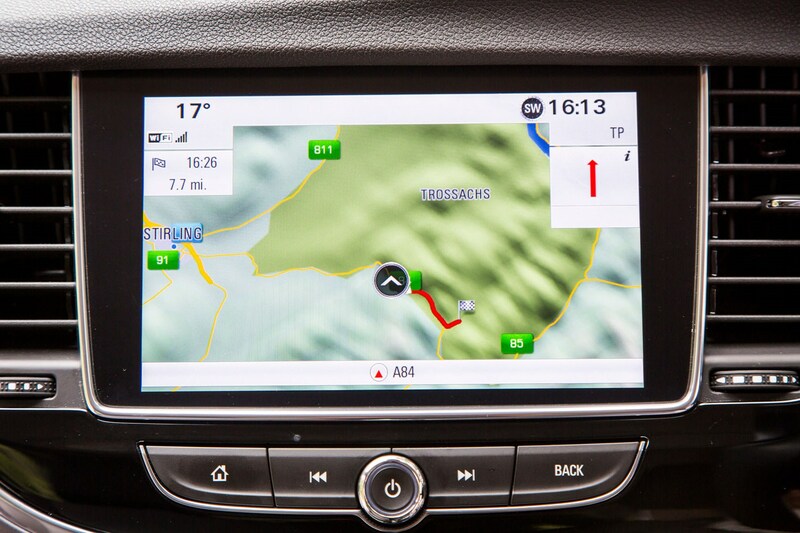 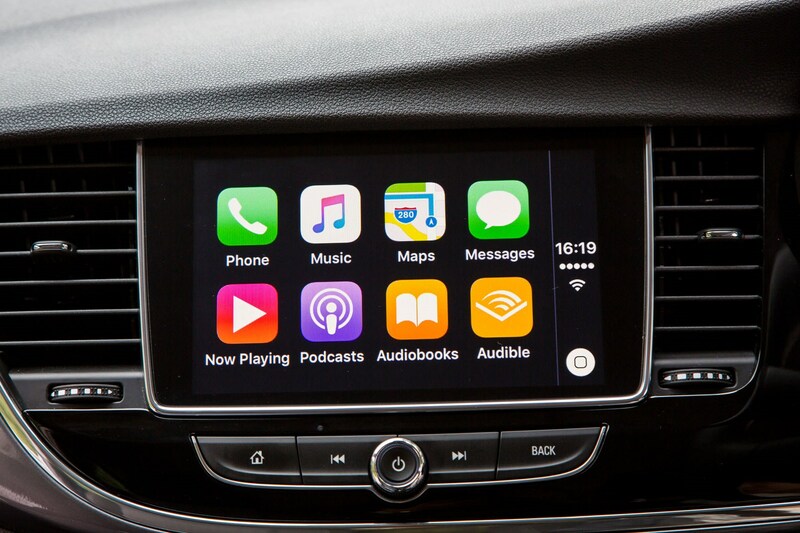 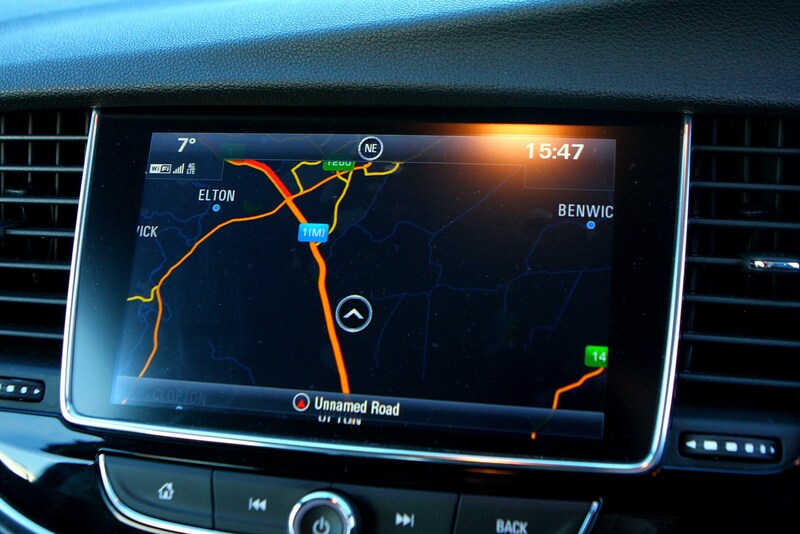 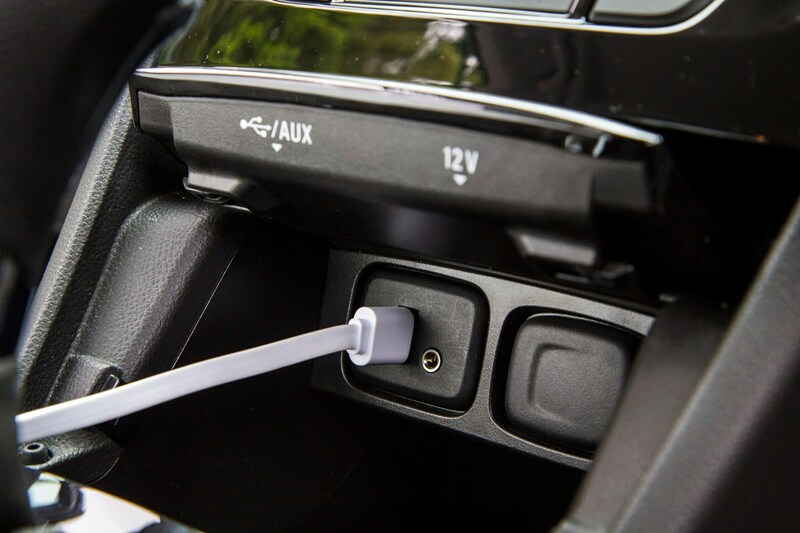 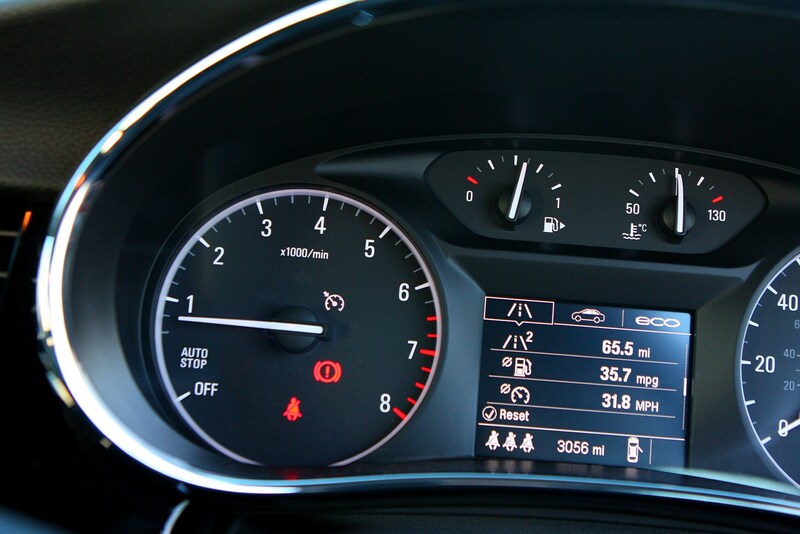 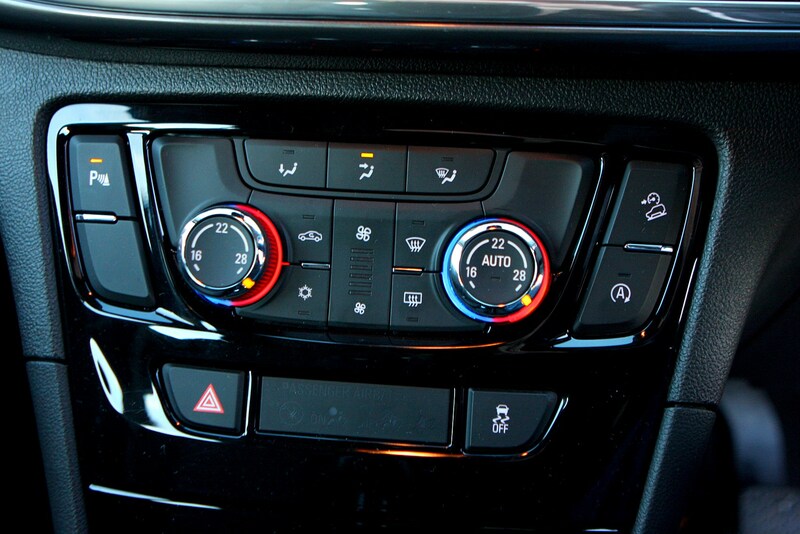 Here, customers are treated to a wide range of standard kit including Bluetooth phone connectivity, dual-zone climate control and Apple CarPlay/Android Auto compatibility. 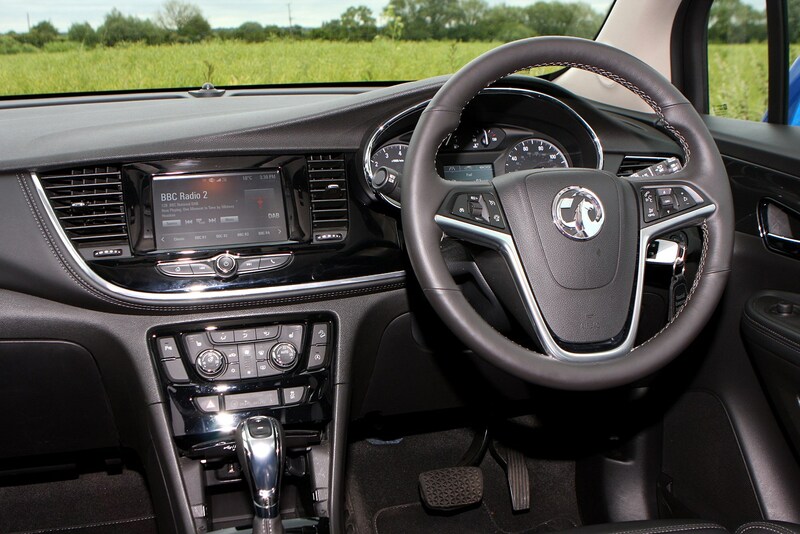 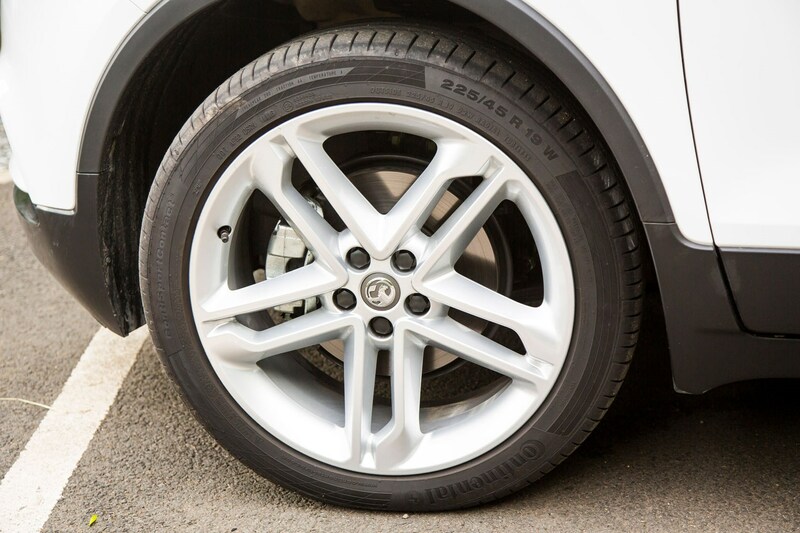 Move up to Elite Nav trim and other goodies such as sat-nav, 18-inch alloy wheels, heated front sports seats and tinted rear windows are also included. 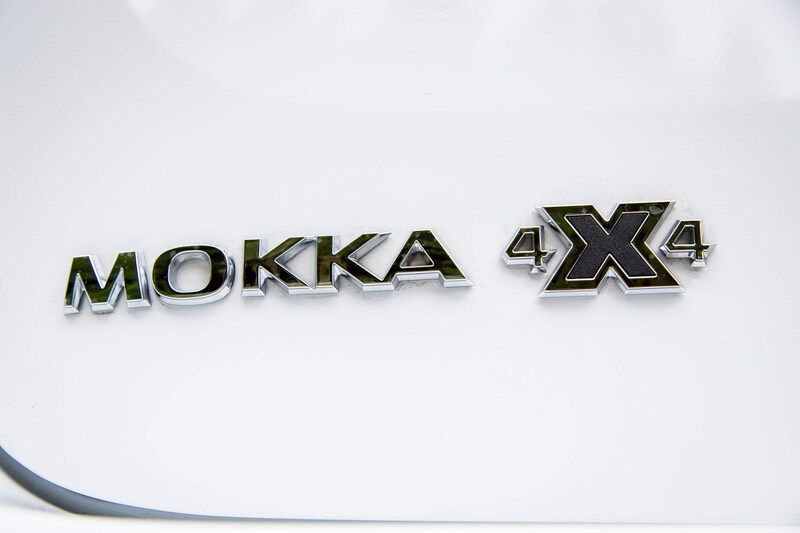 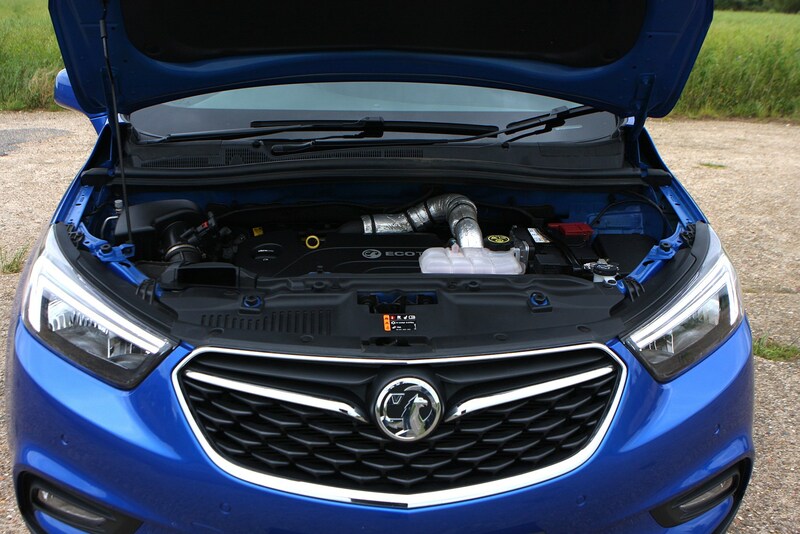 Offering up three petrol motors and two diesels, the Mokka X gives customers a decent section of engines to choose from – although try to avoid the 1.6-litre petrol. 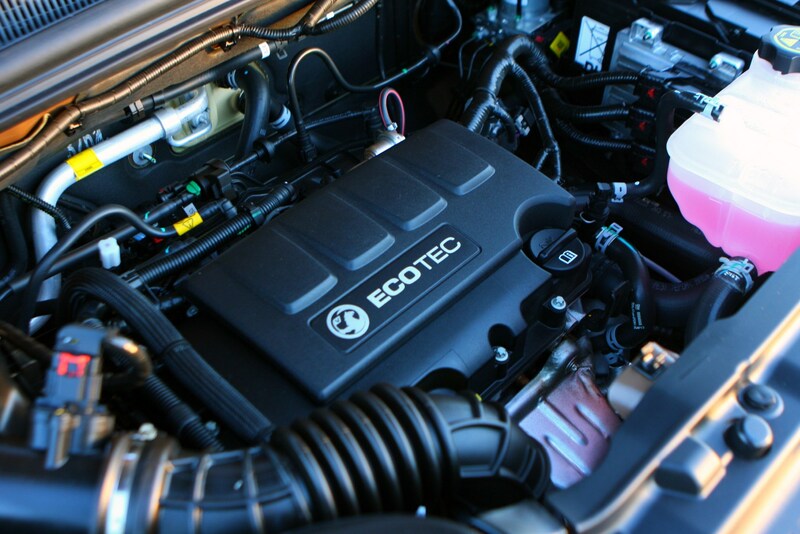 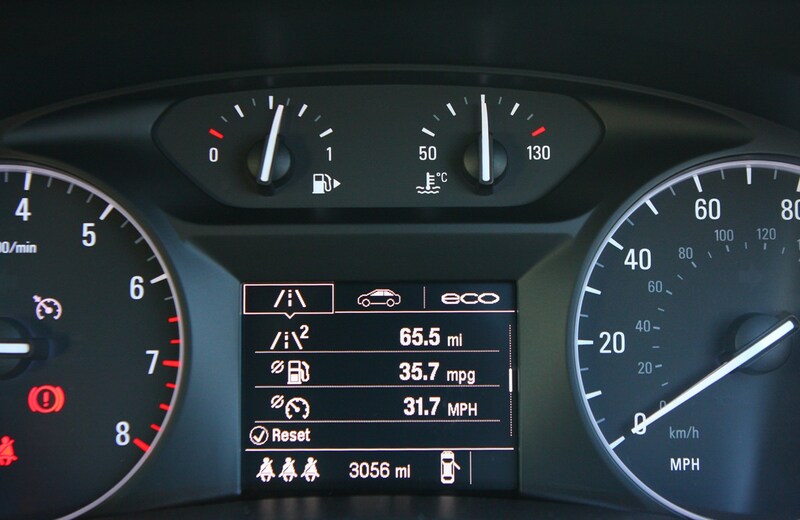 It’s the cheapest engine in the range for a reason, delivering well below average performance and fuel economy, while also managing to produce the most CO2 emissions. 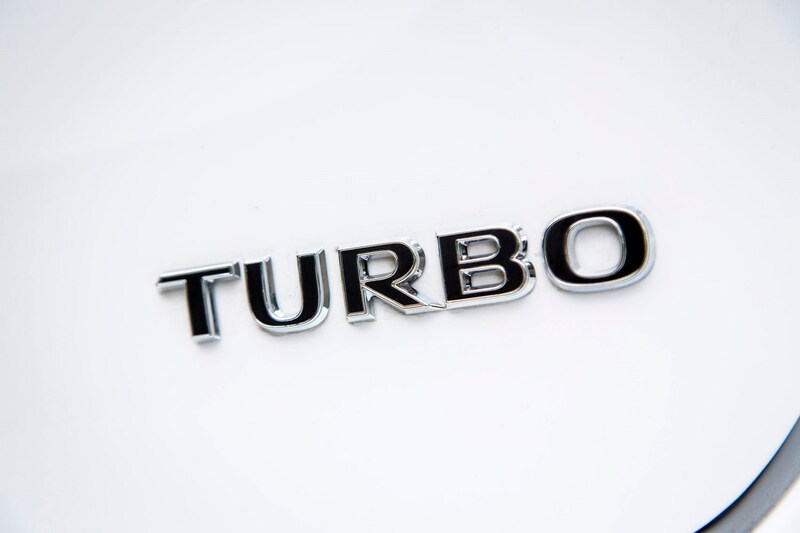 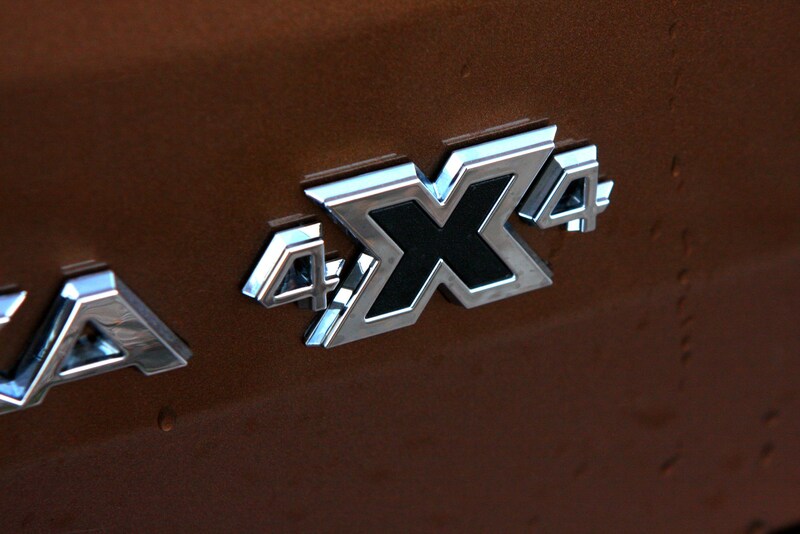 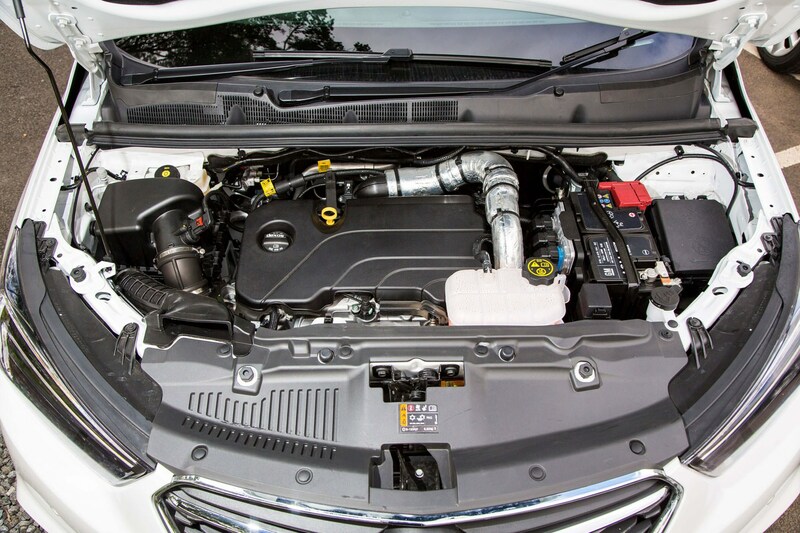 The wise money is on the big-selling 140hp 1.4-litre turbo petrol or one of the frugal diesels on offer. 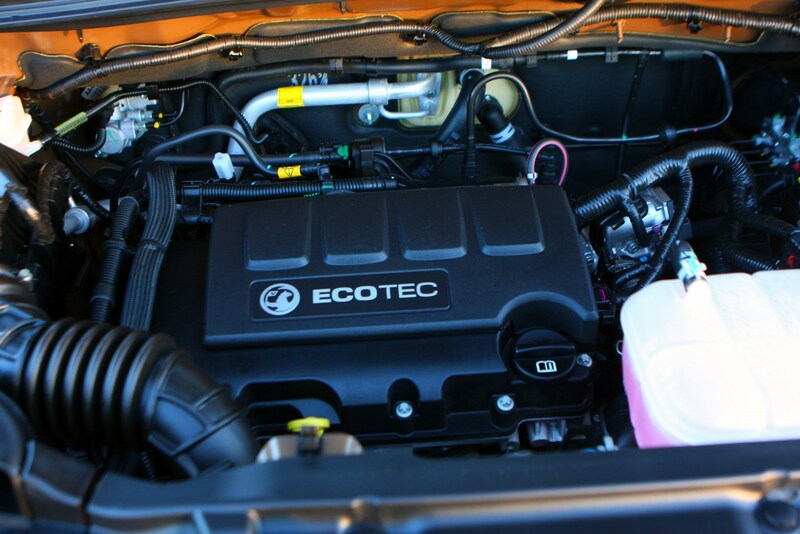 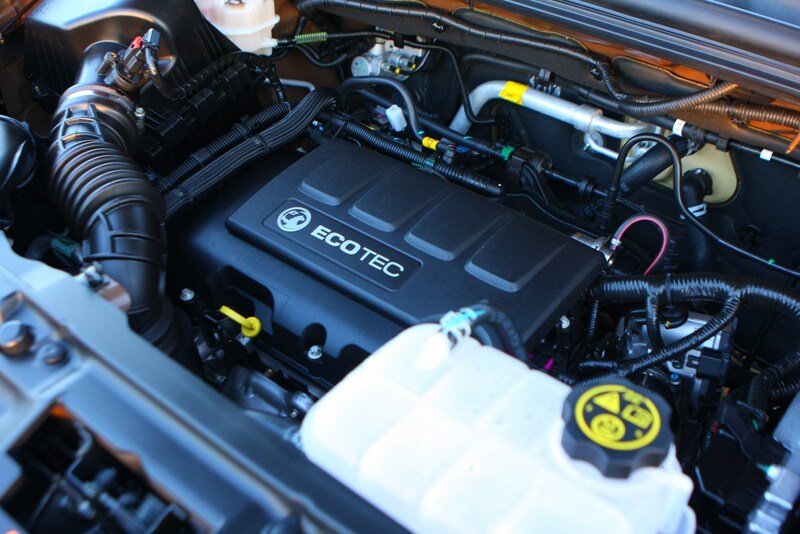 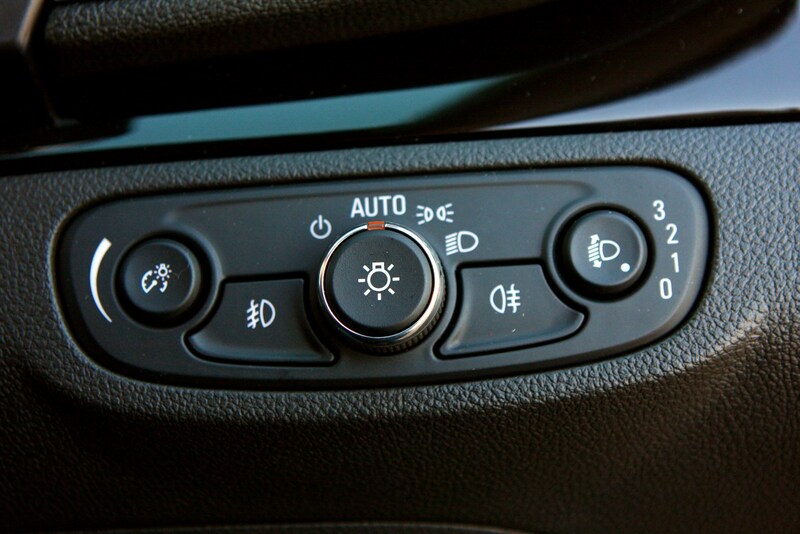 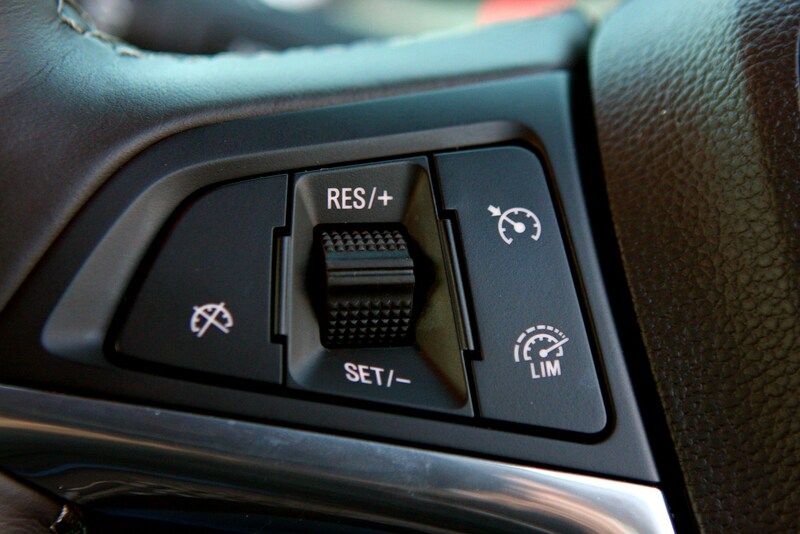 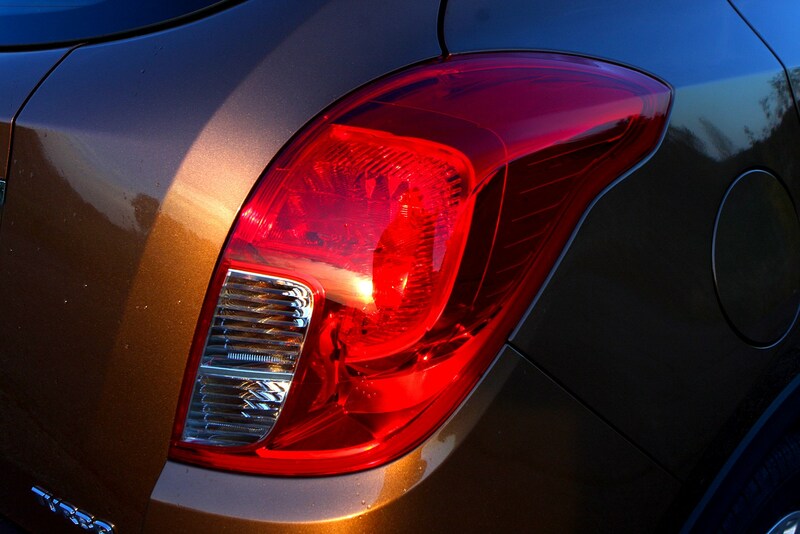 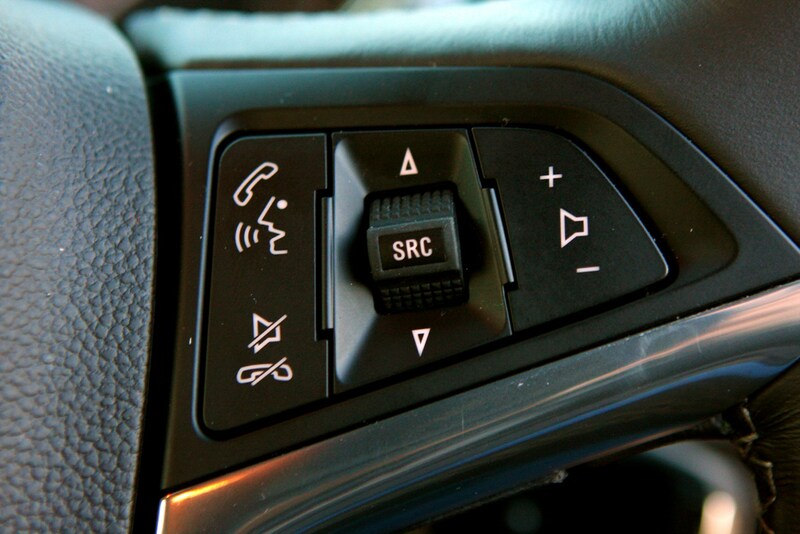 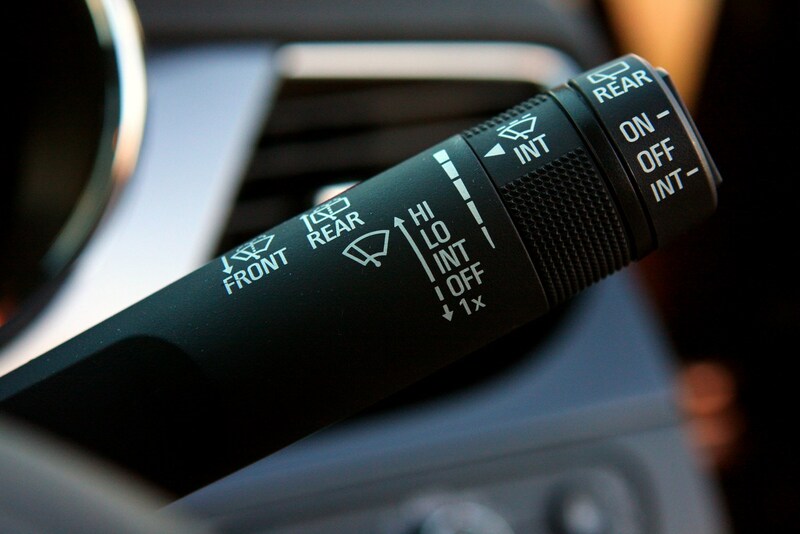 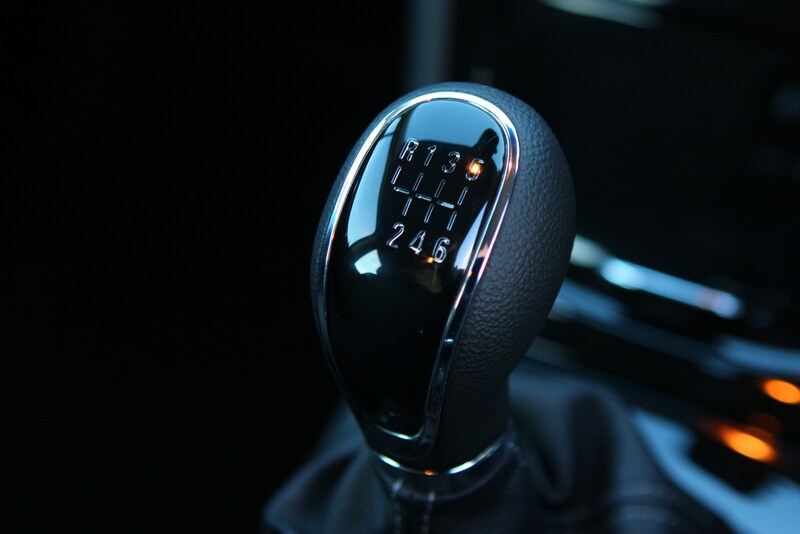 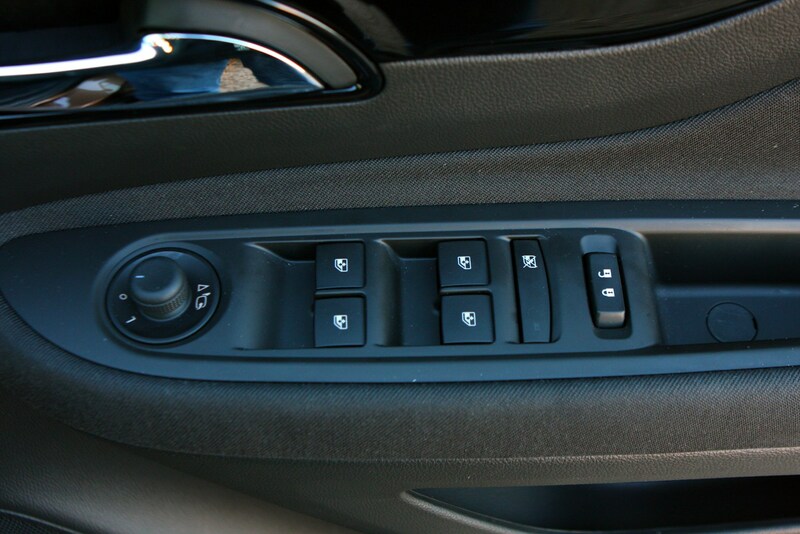 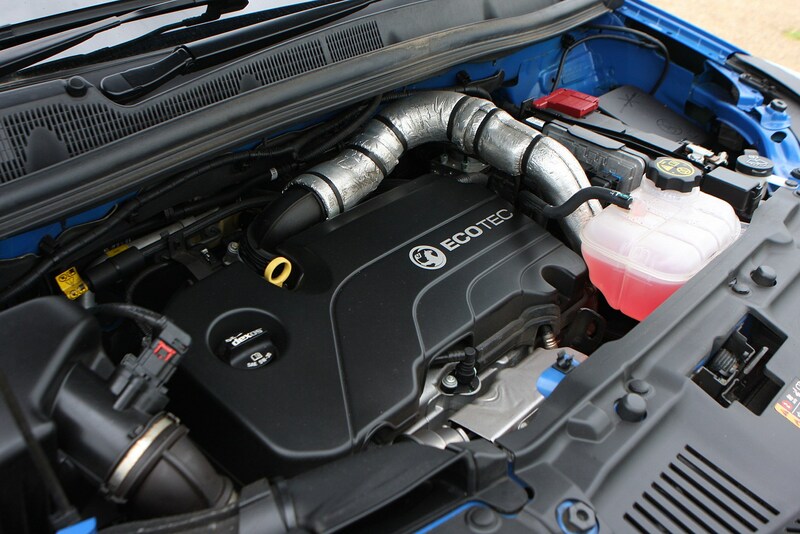 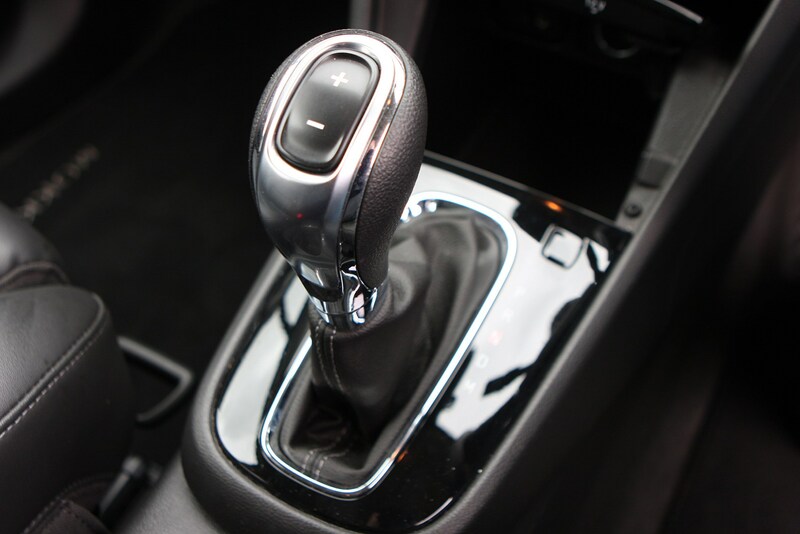 Most engines come with the option of four-wheel drive or a six-speed automatic gearbox – and in some cases both. 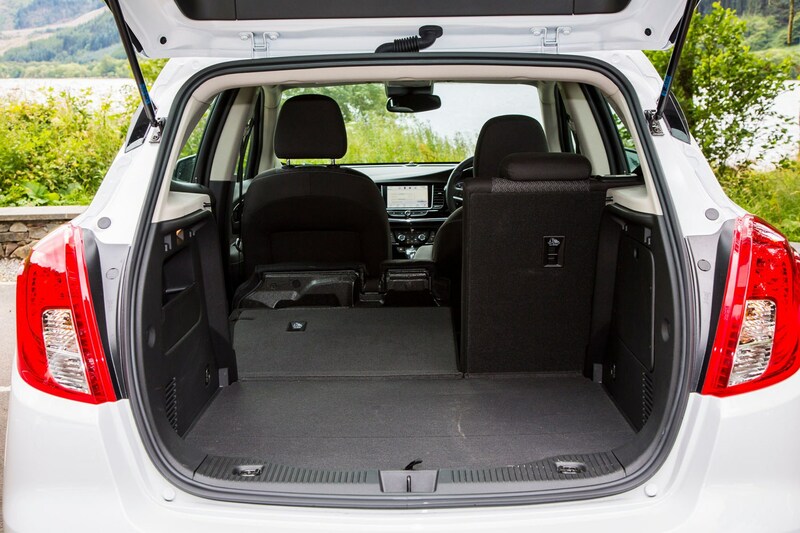 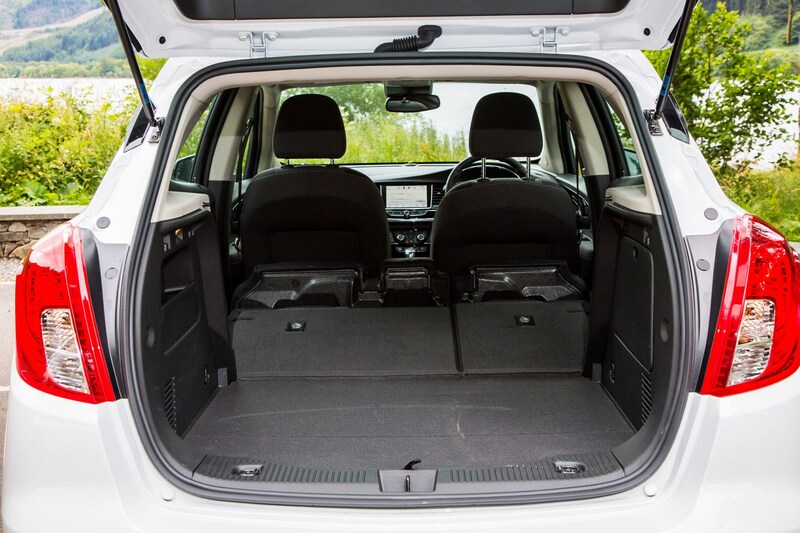 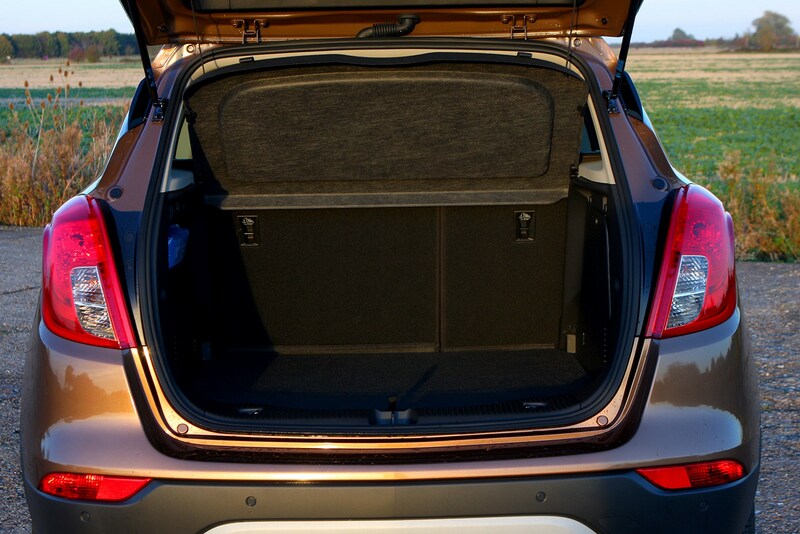 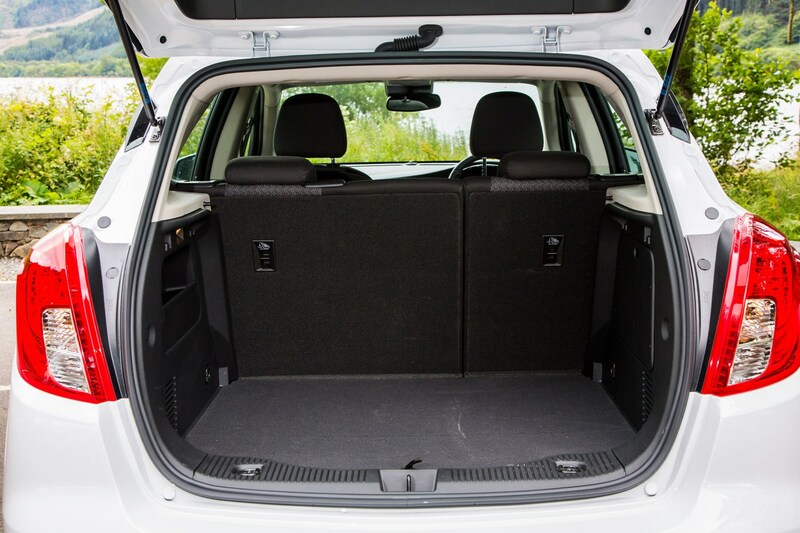 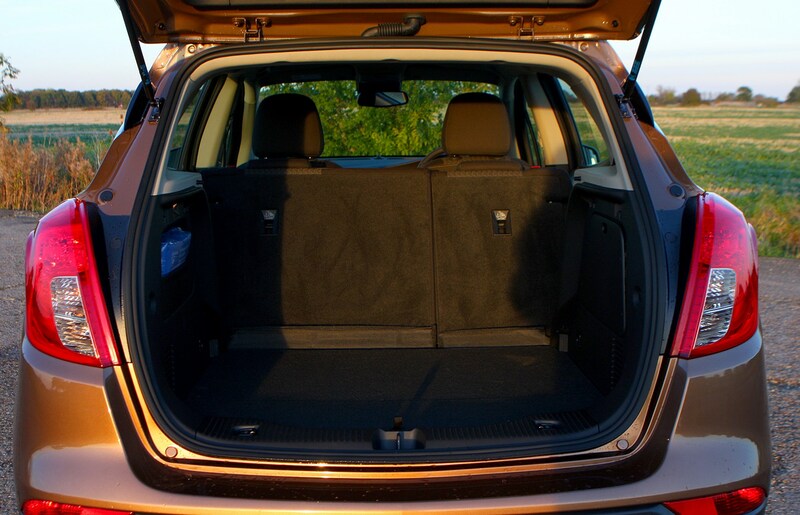 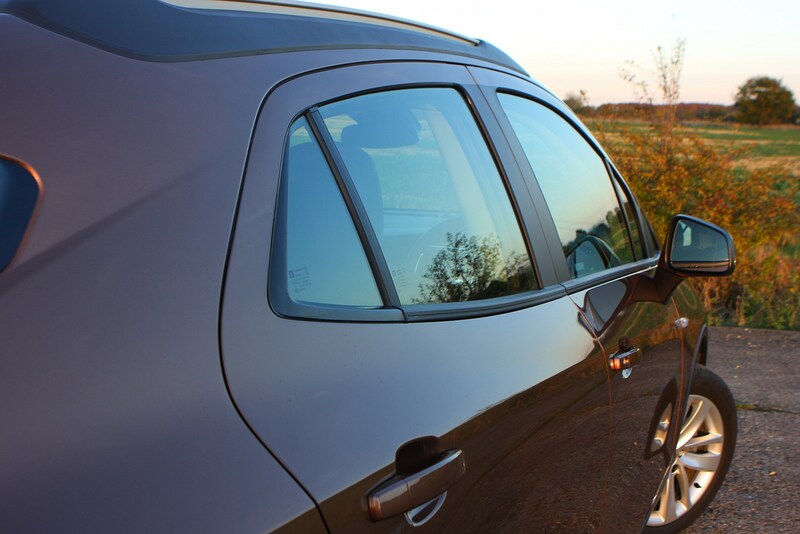 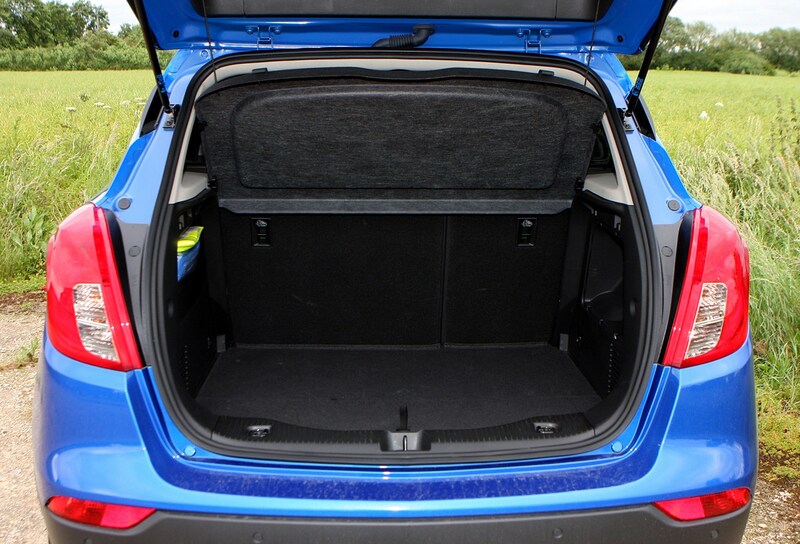 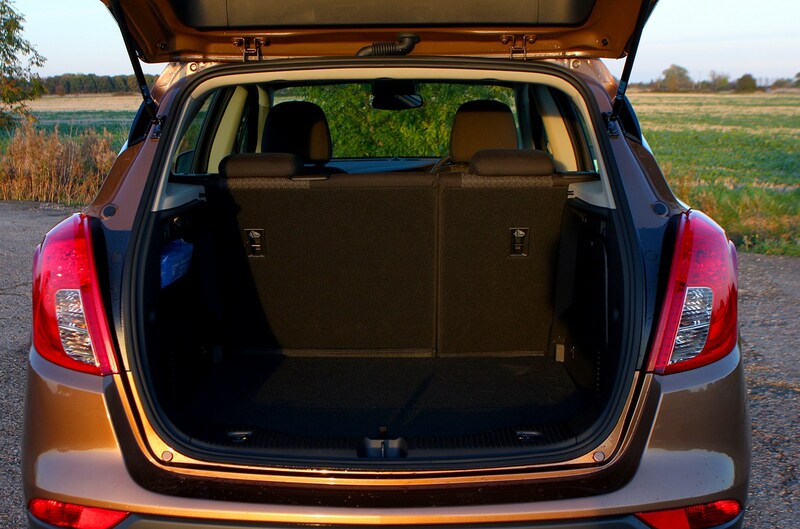 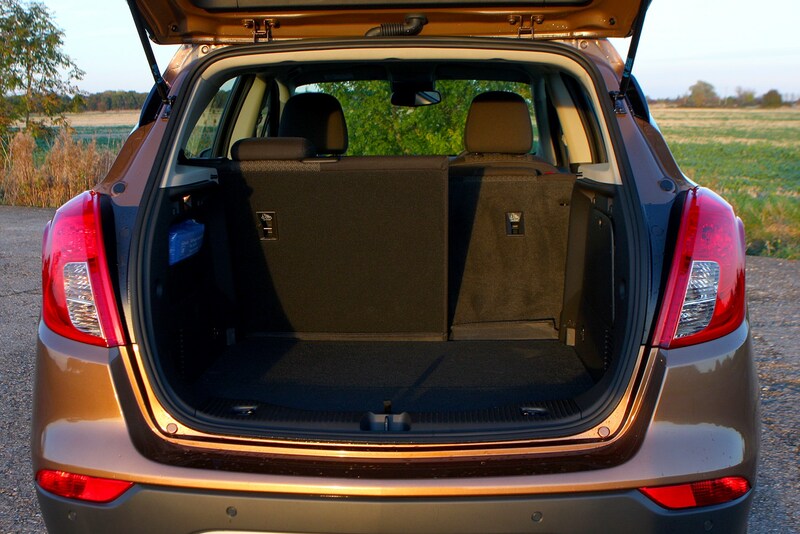 The Mokka X manages reasonable levels of practicality, with a adequate-sized boot measuring up at 356 litres with the rear seats in place and 1,305 litres with them folded down. 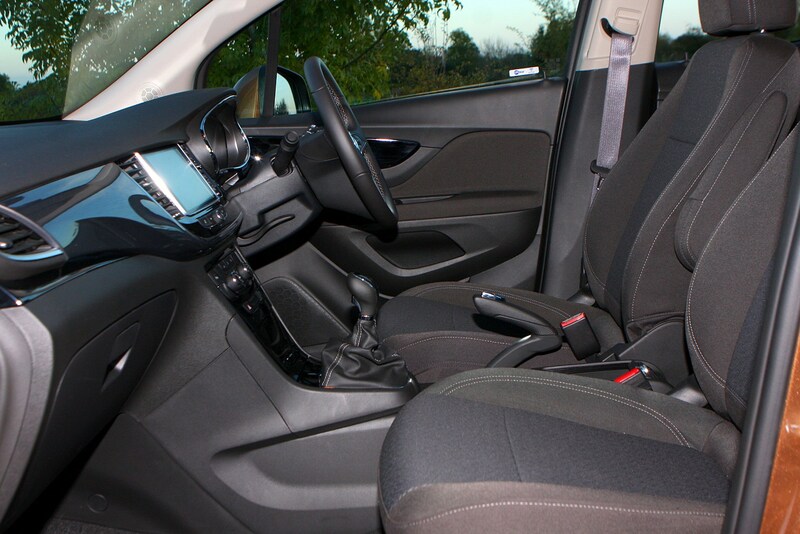 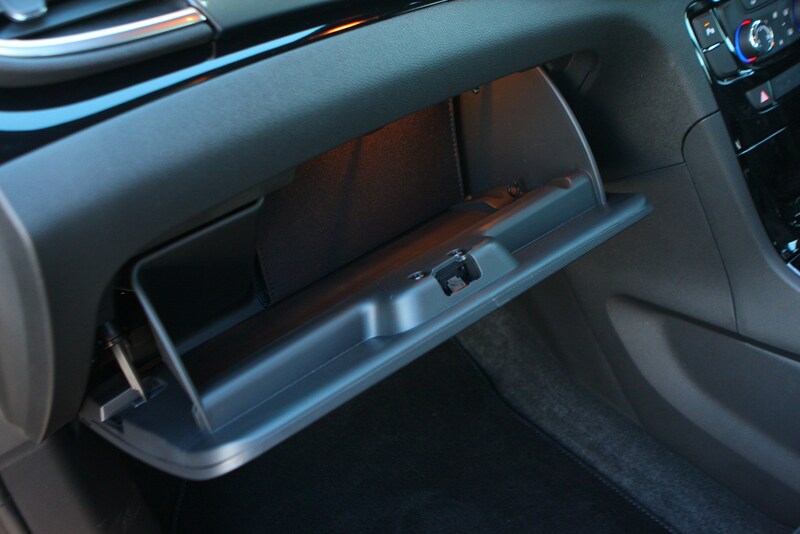 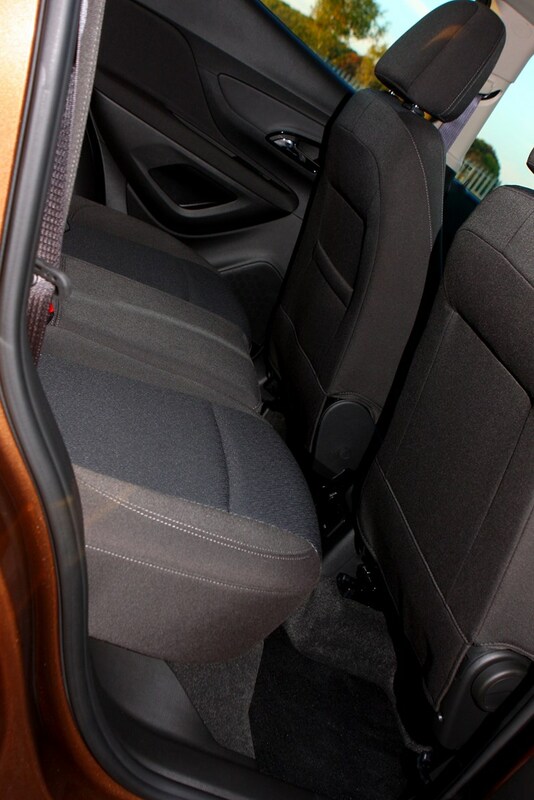 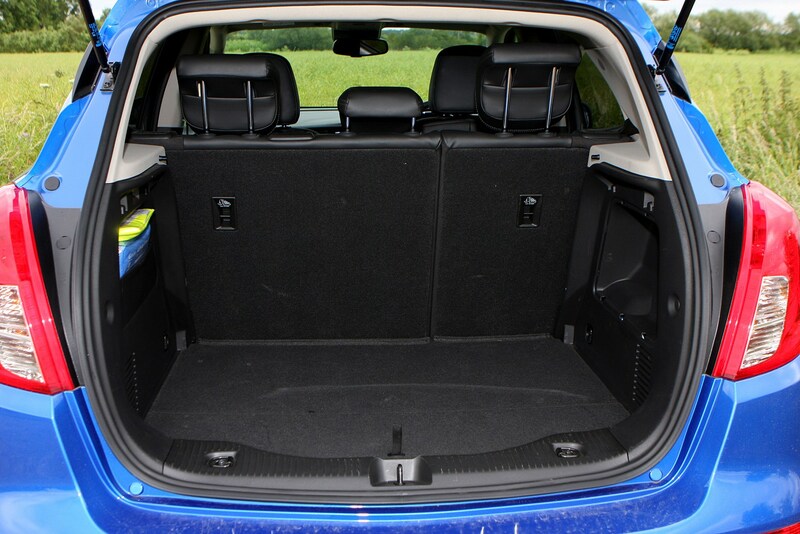 Space for rear seat passengers is usable, with enough room to keep two adults happy in the back on long journeys. 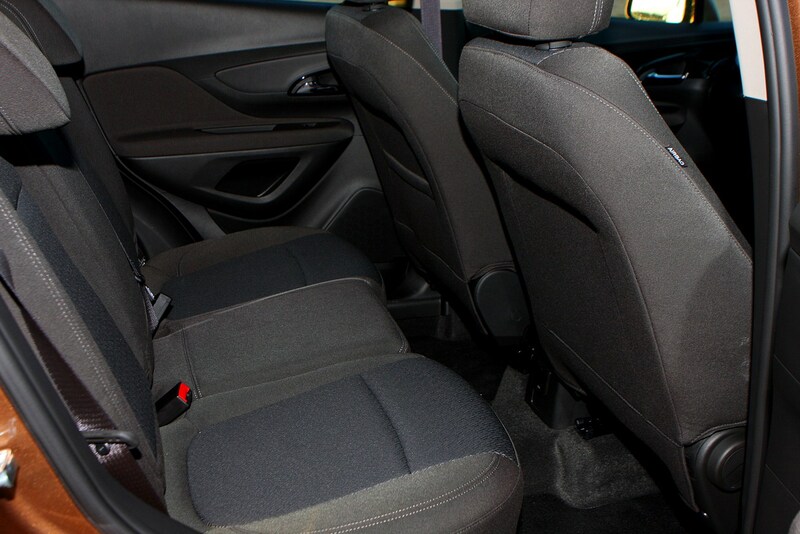 The middle seat, although reasonably spacious, is best reserved for children (or adults on a short journey). 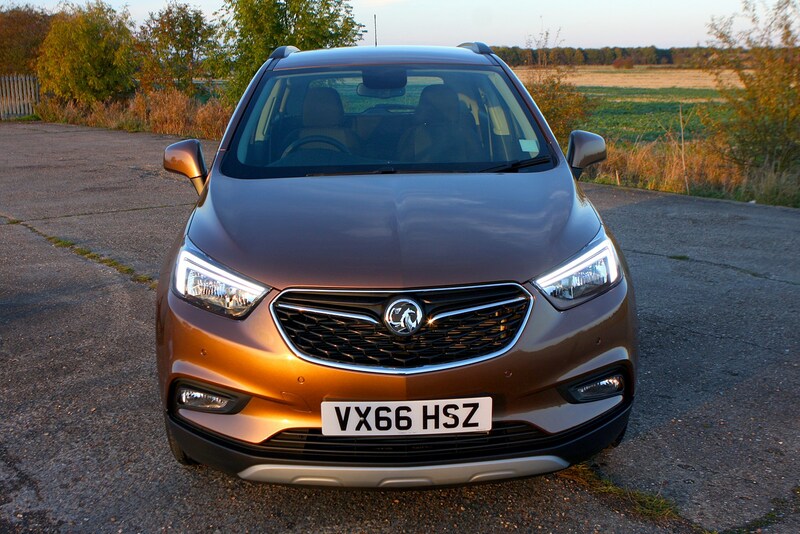 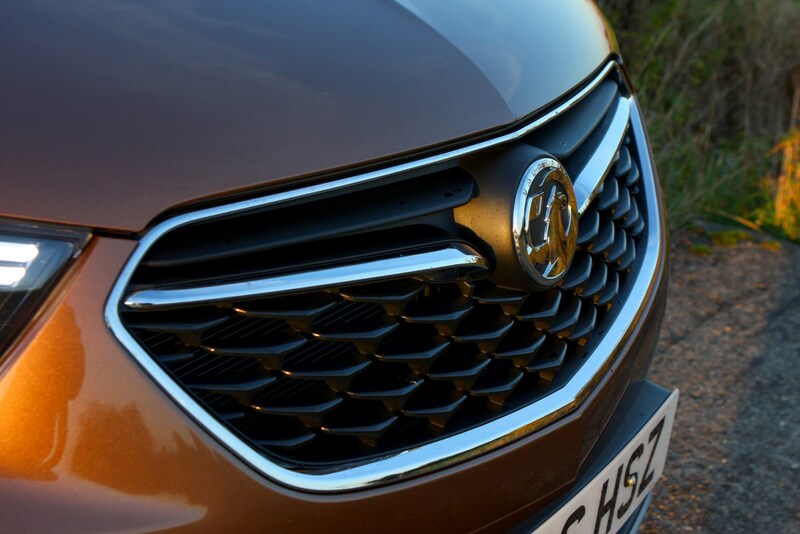 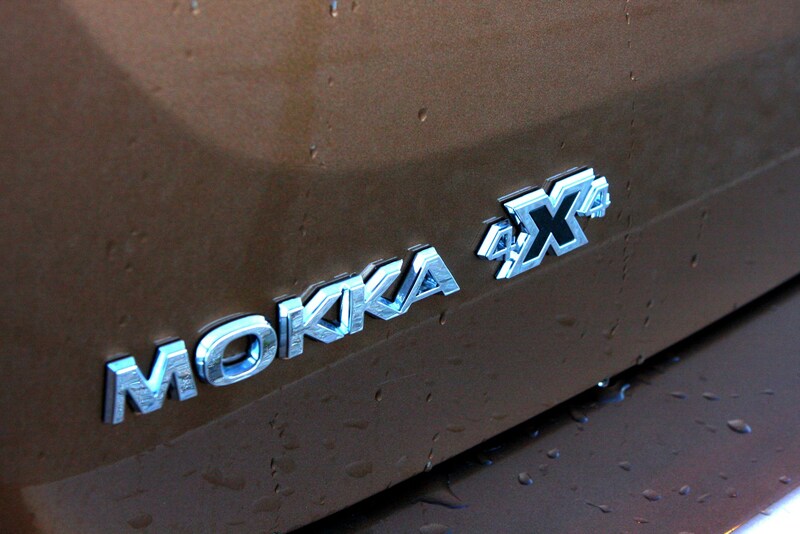 The Vauxhall Mokka X will likely sell well thanks to its keen pricing, strong kit levels and smart exterior styling. 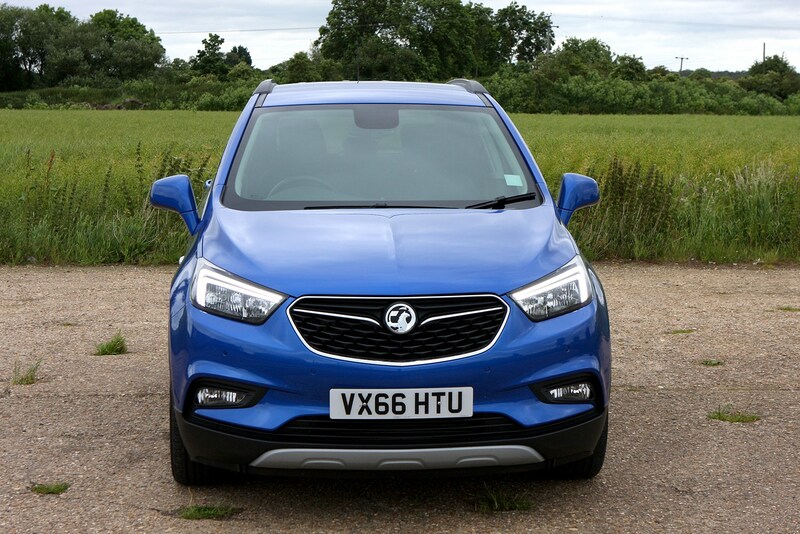 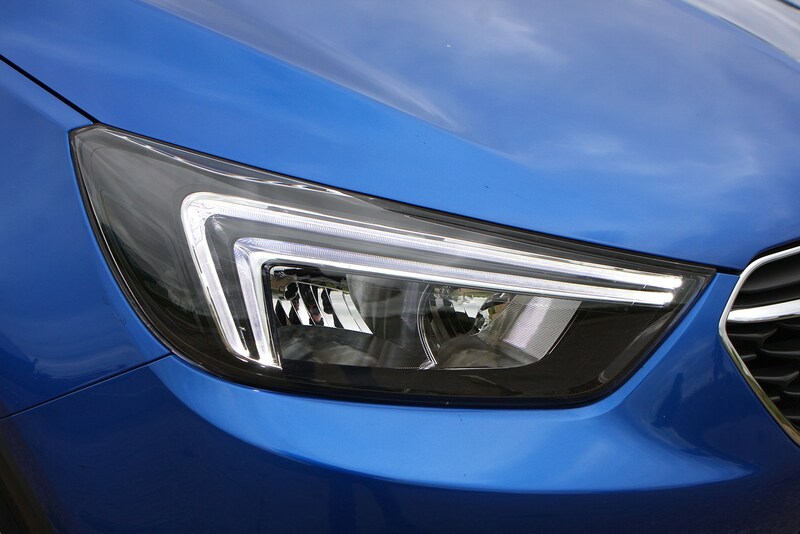 However, it’s not the most accomplished offering in its class mainly due to its jittery ride quality, high-emissions petrol engines, dull drive and cheap-feeling cabin. 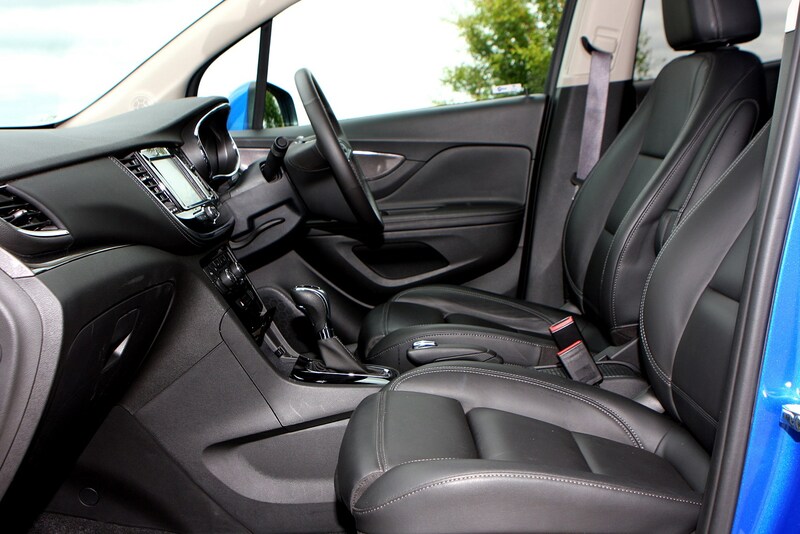 As a well-equipped family wagon for taking kids and adults from A to B it’ll do the job, but there are others – such as the Renault Captur – which will do it better.